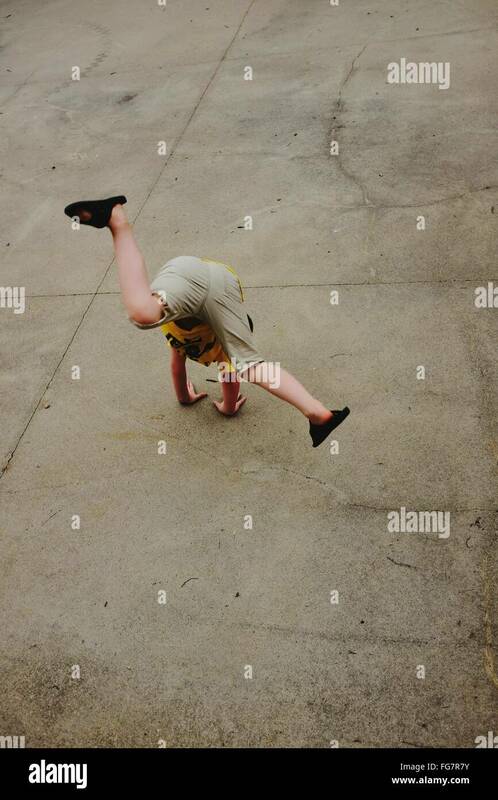 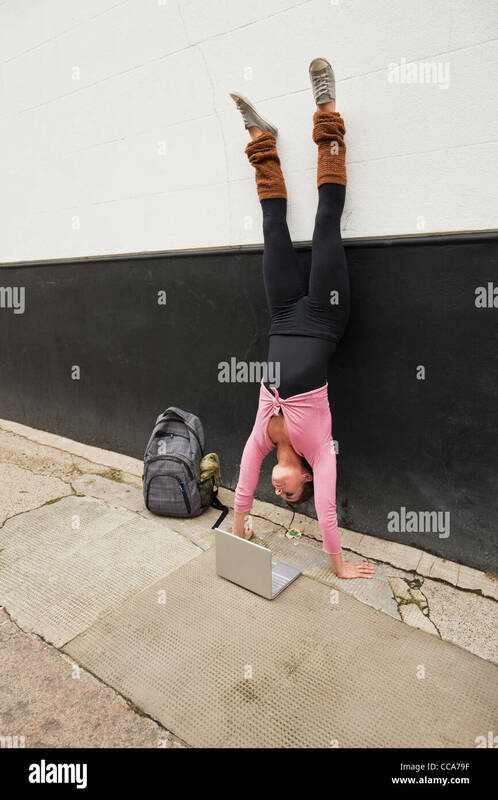 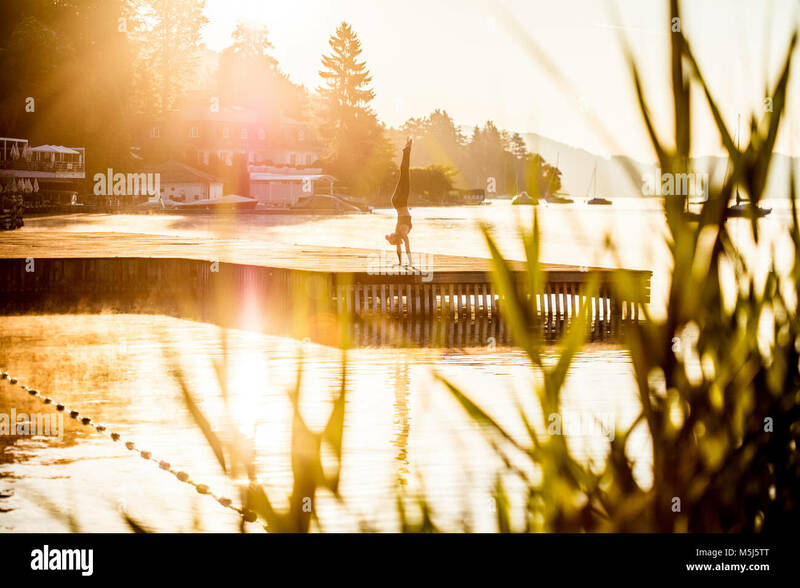 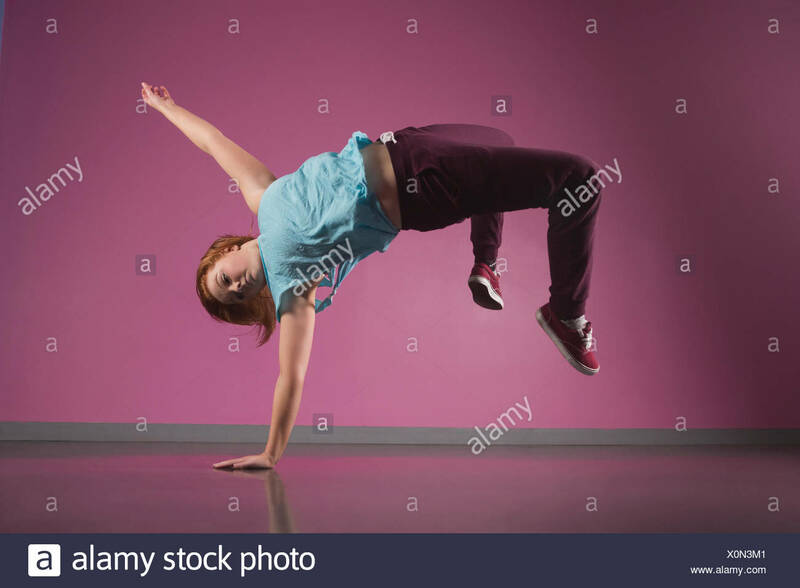 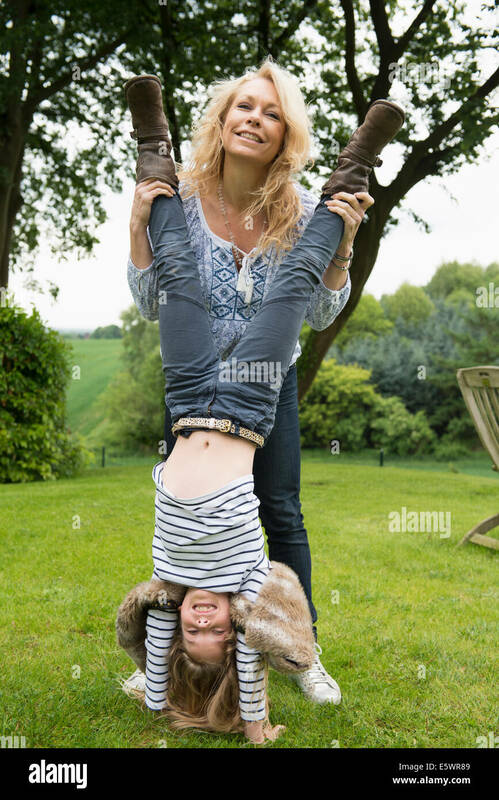 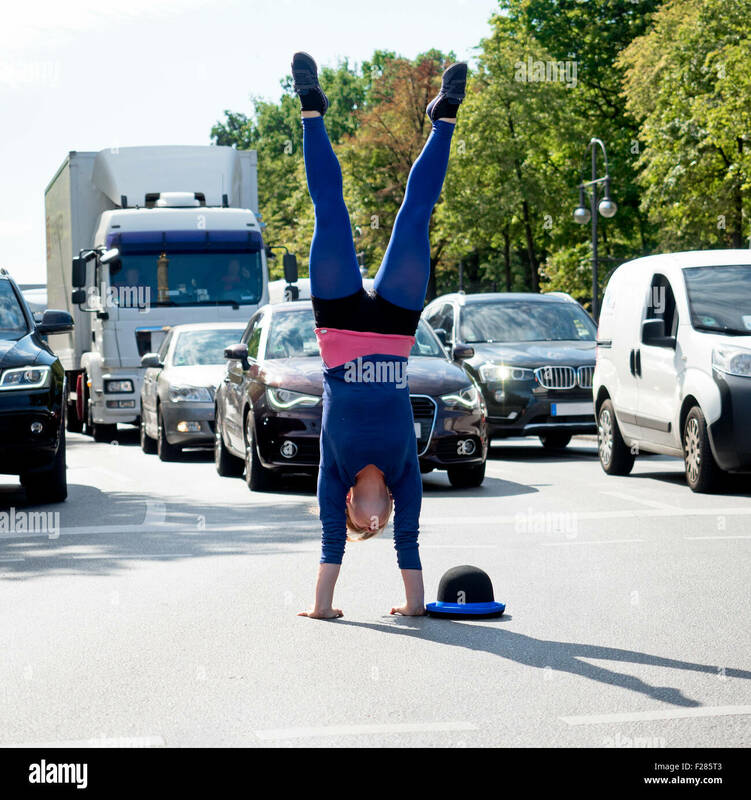 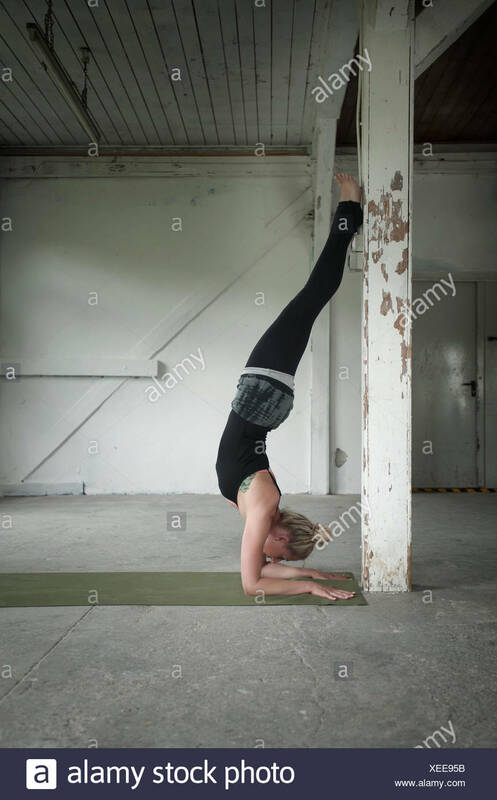 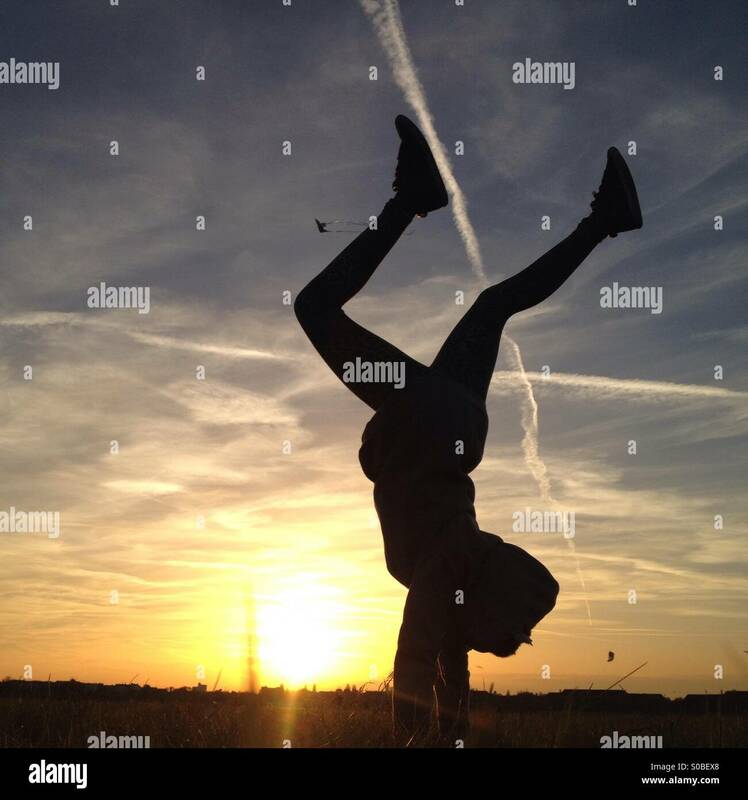 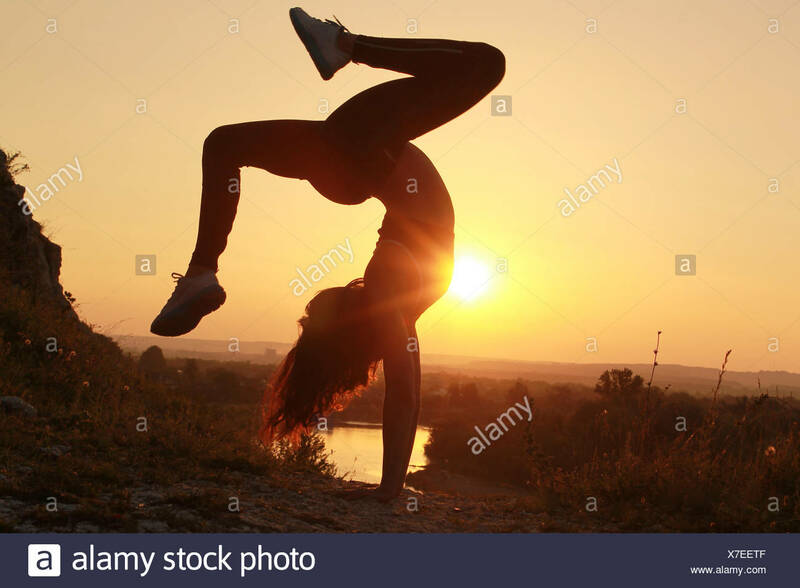 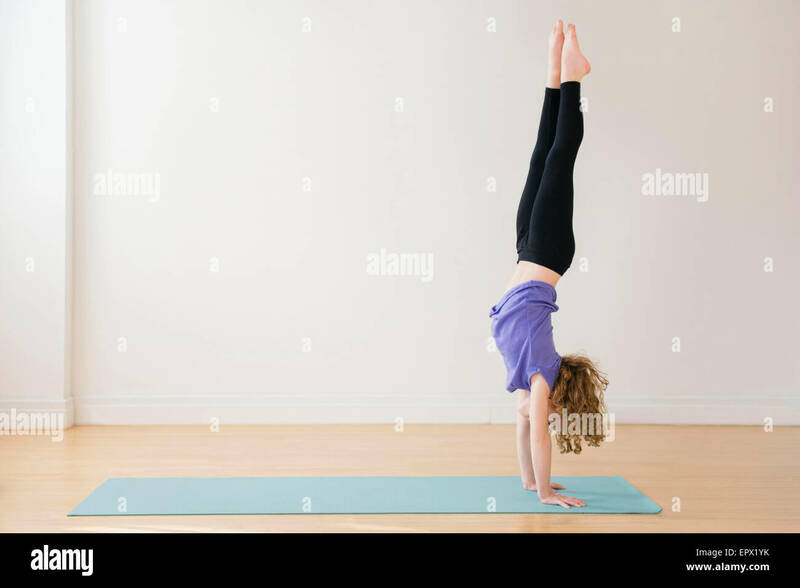 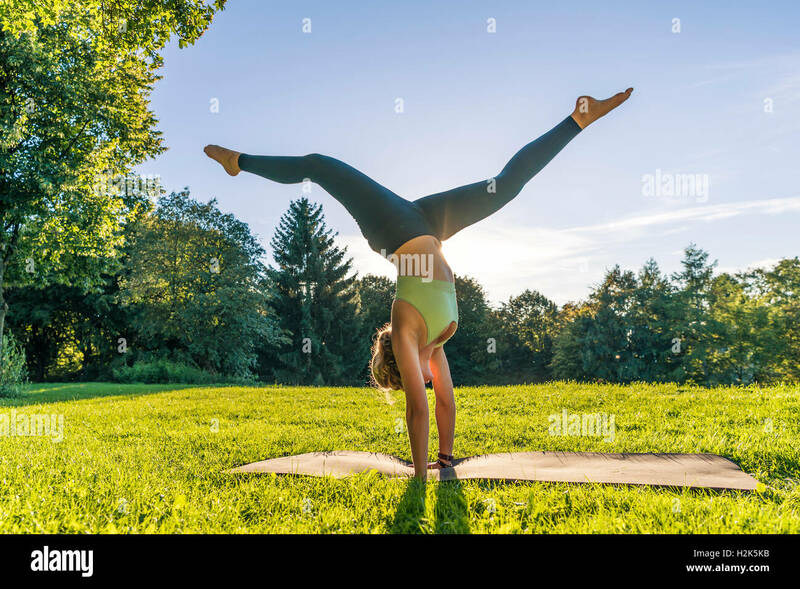 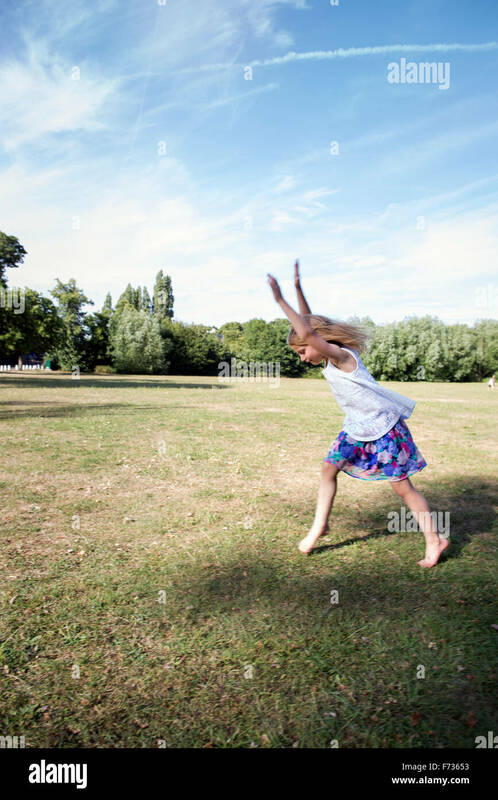 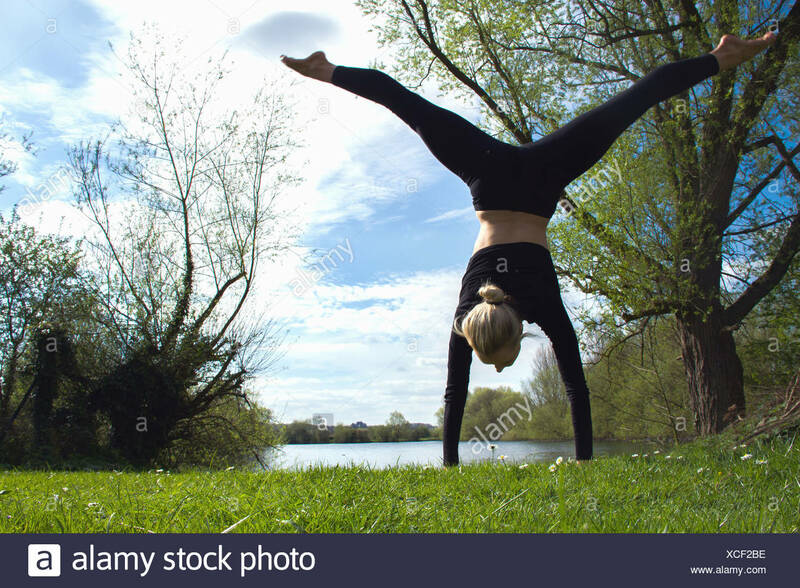 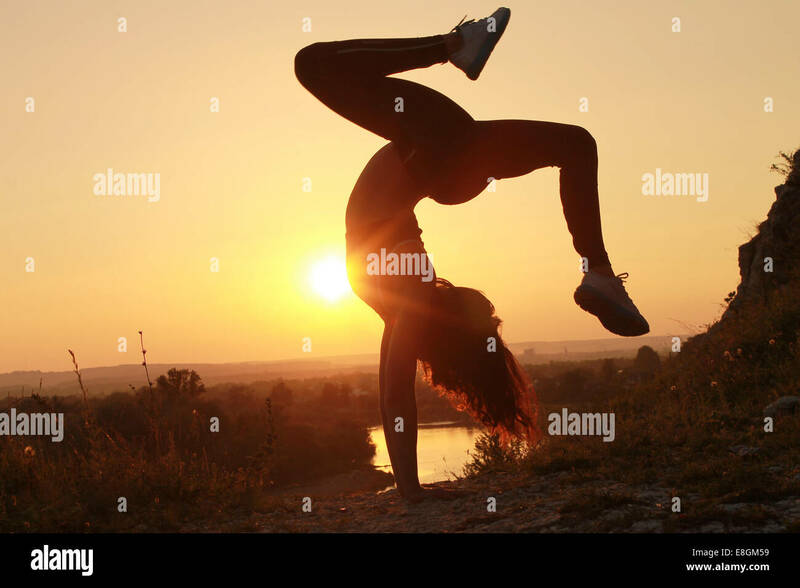 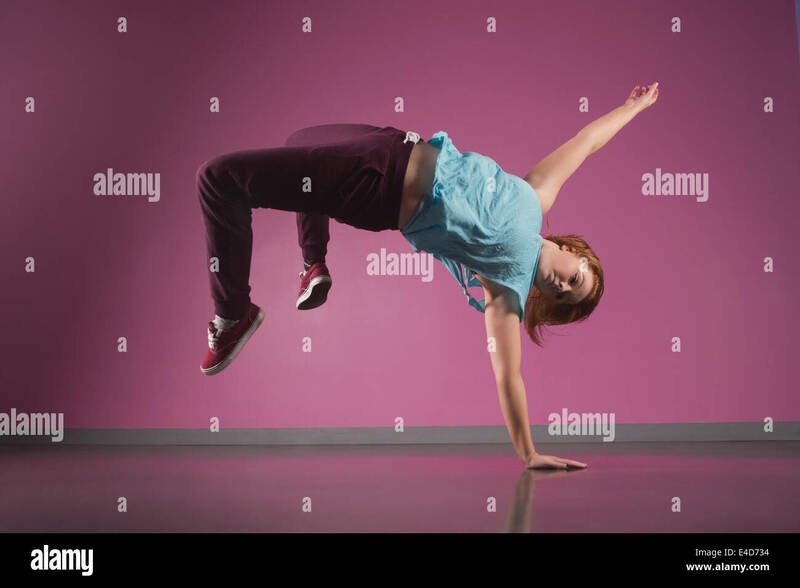 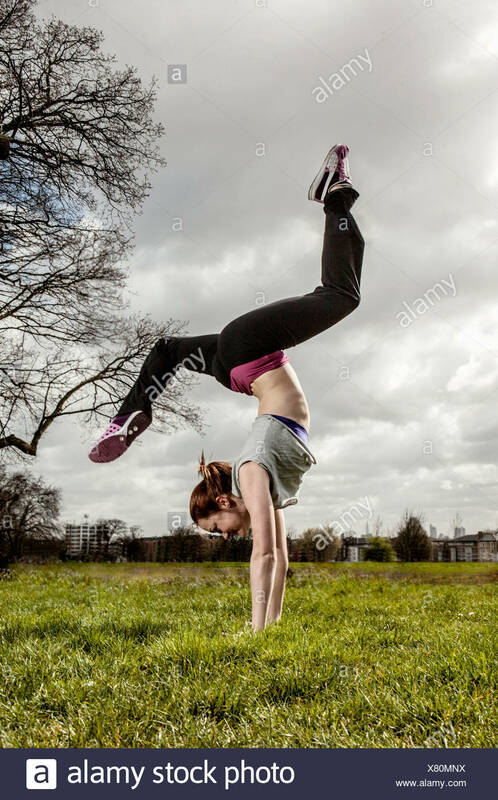 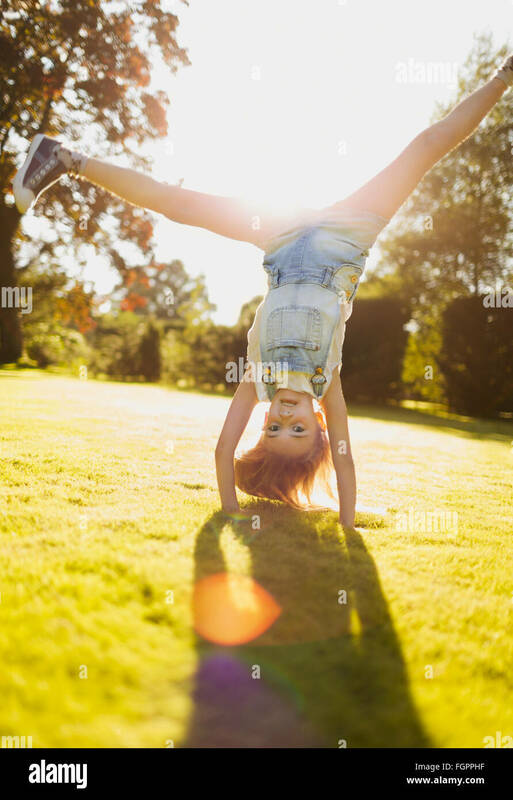 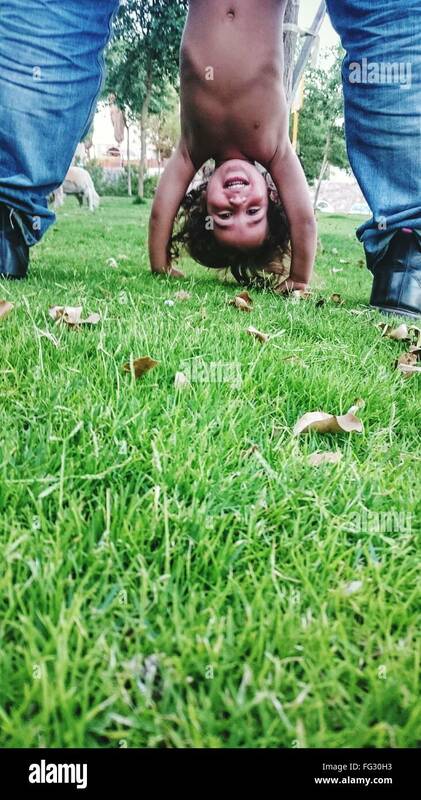 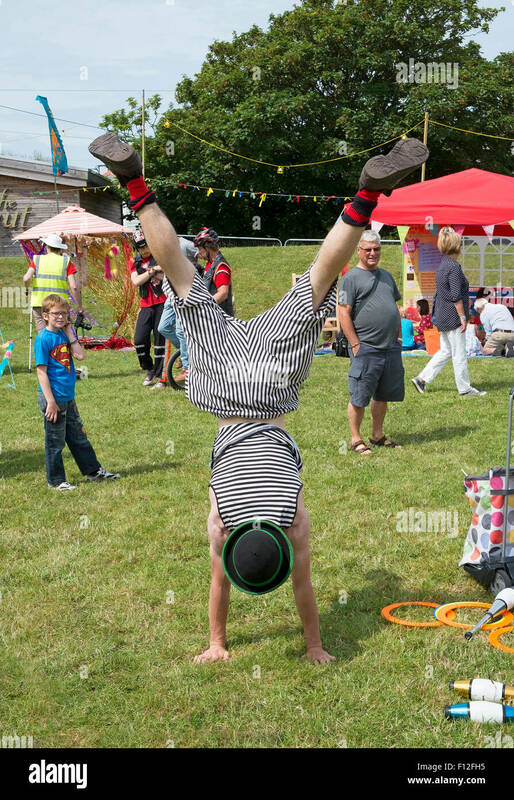 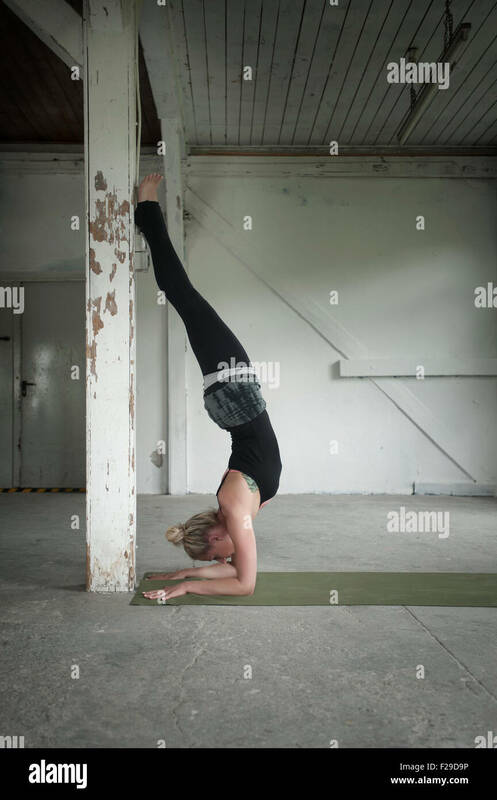 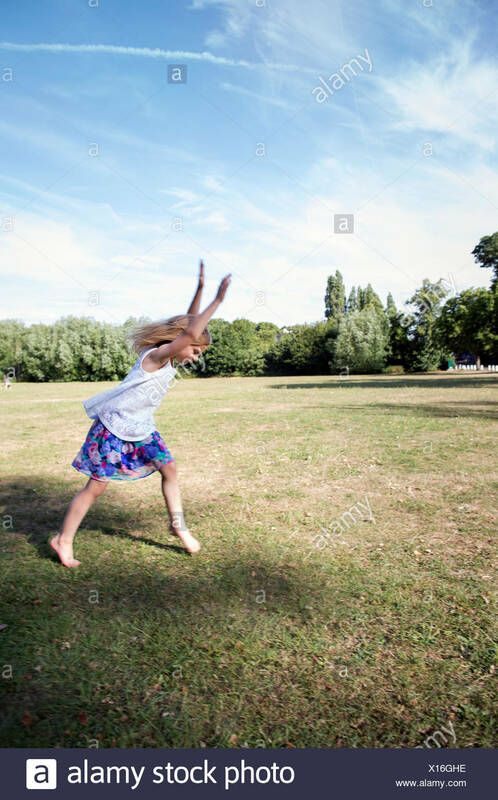 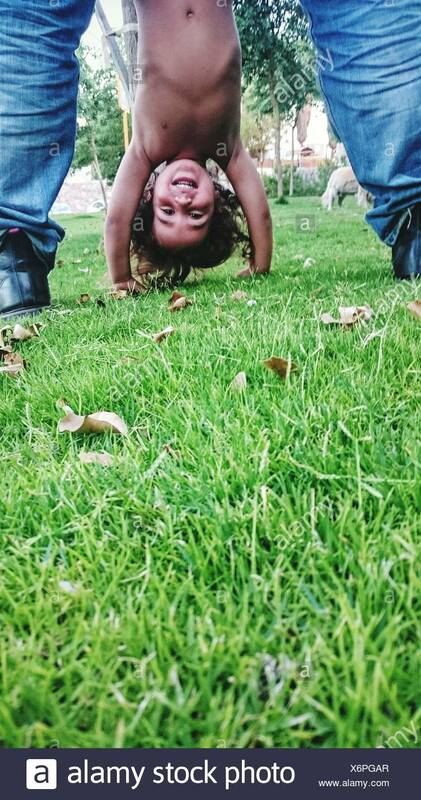 Young girl playing in a park, preparing to do a handstand. 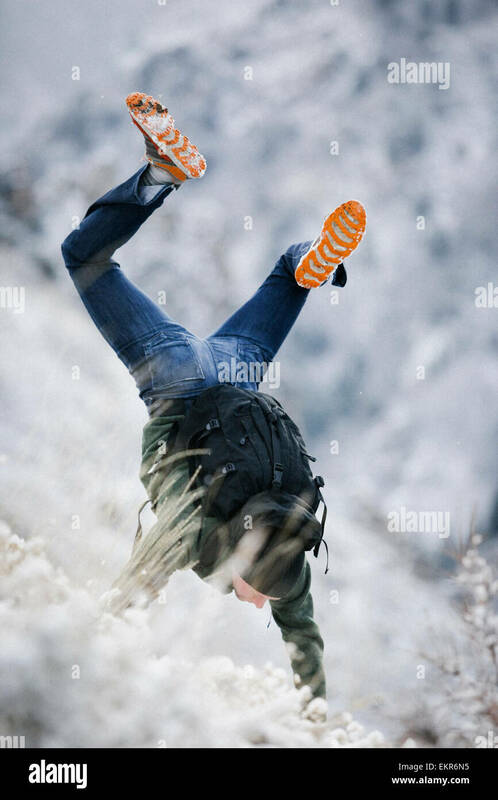 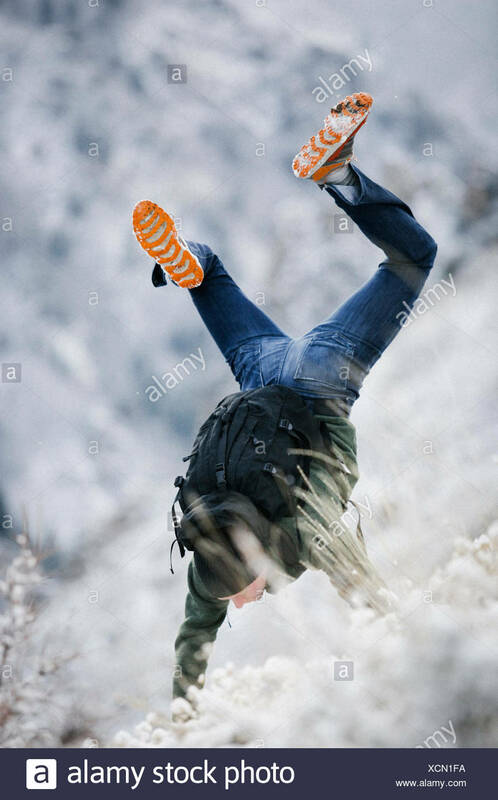 A hiker in the mountains with a rucksack, doing a handstand on a snowy slope. 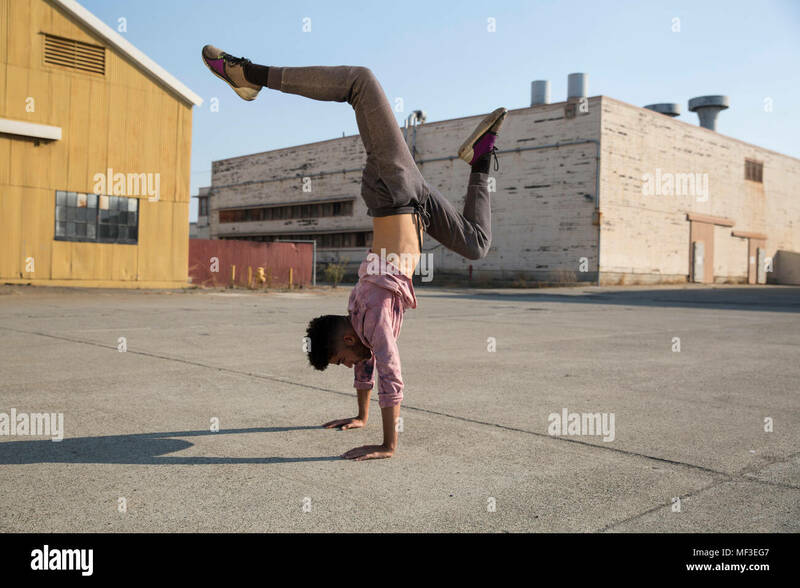 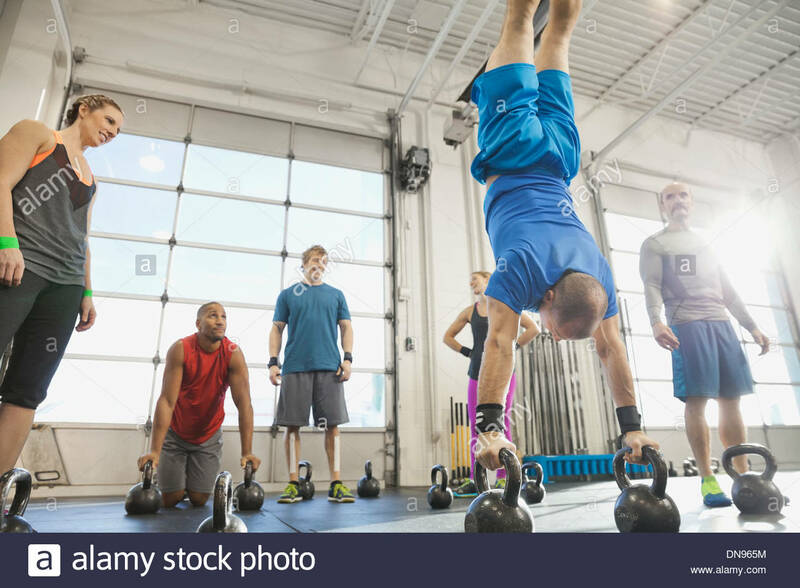 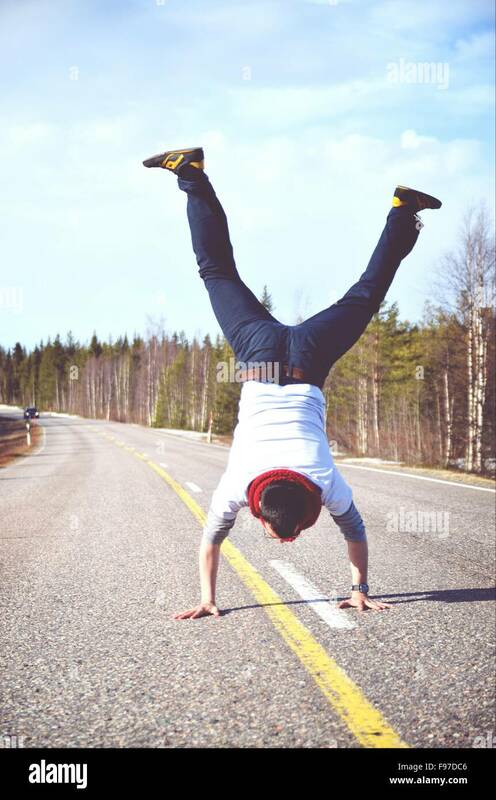 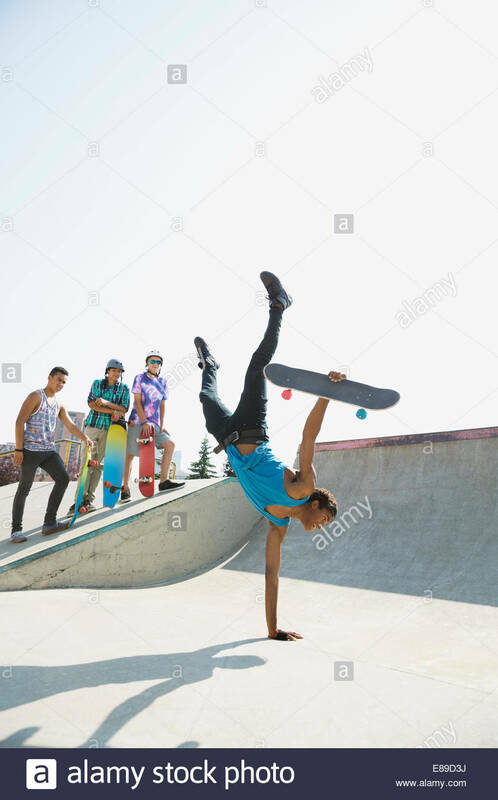 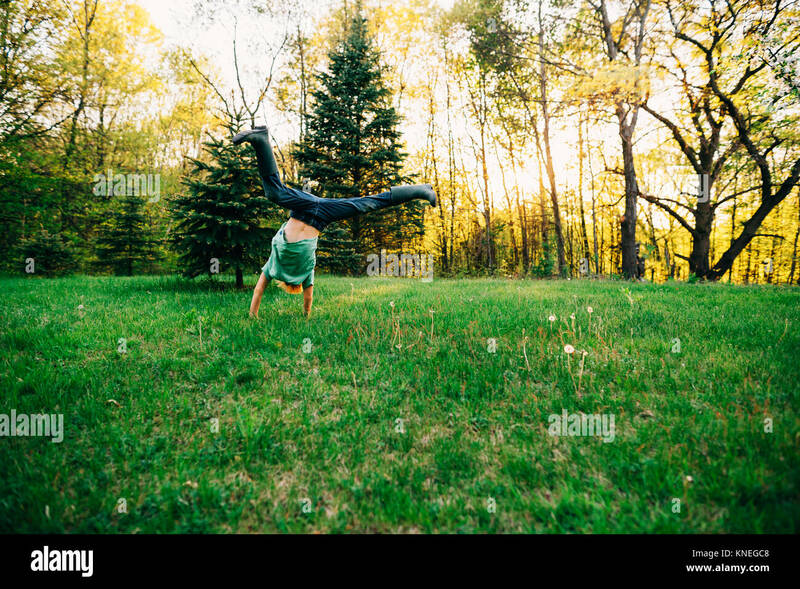 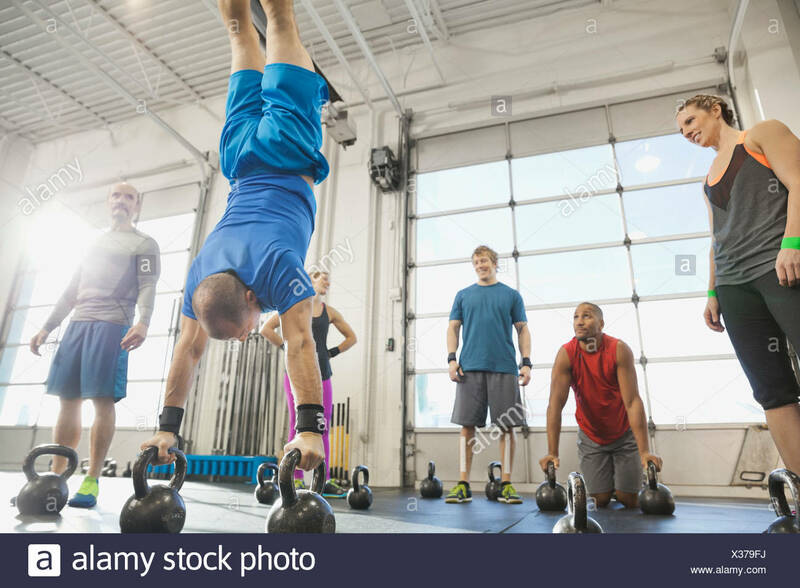 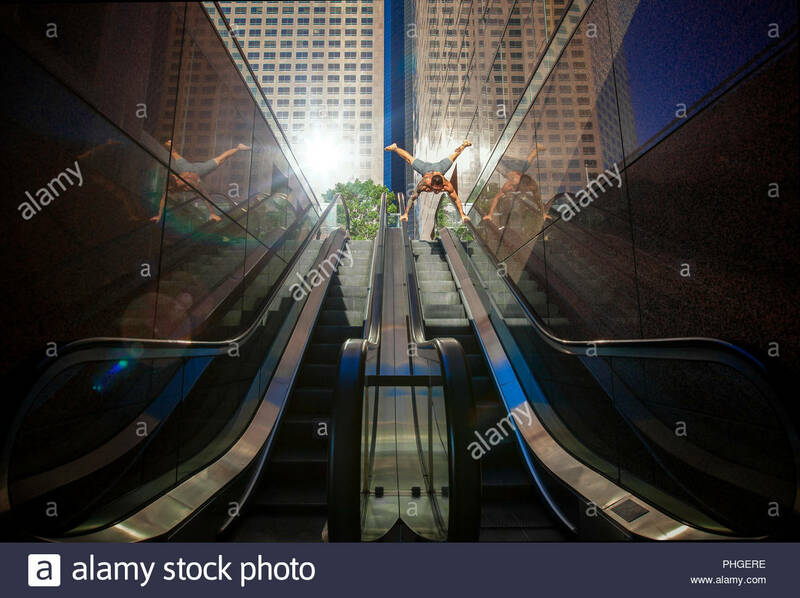 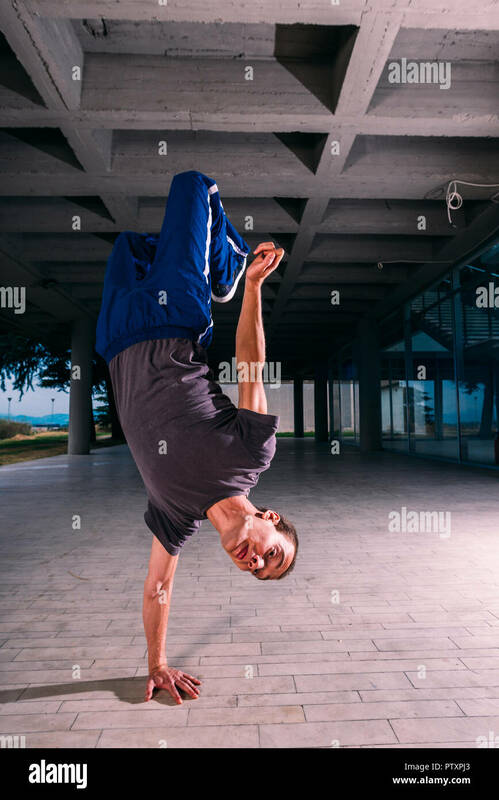 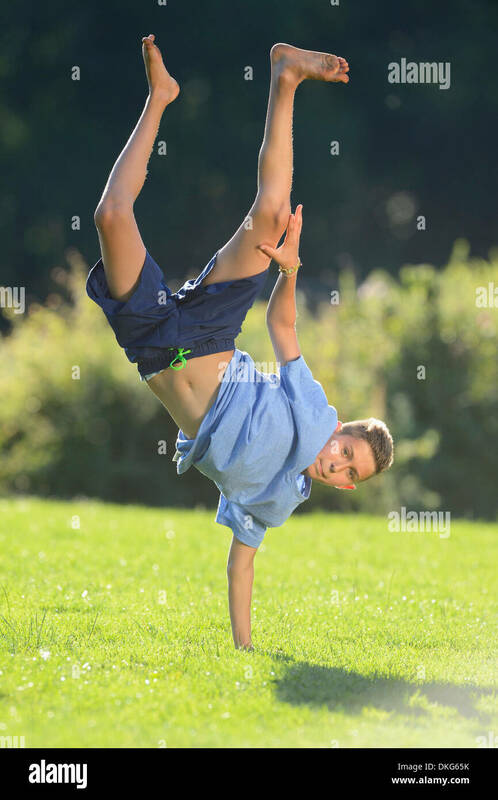 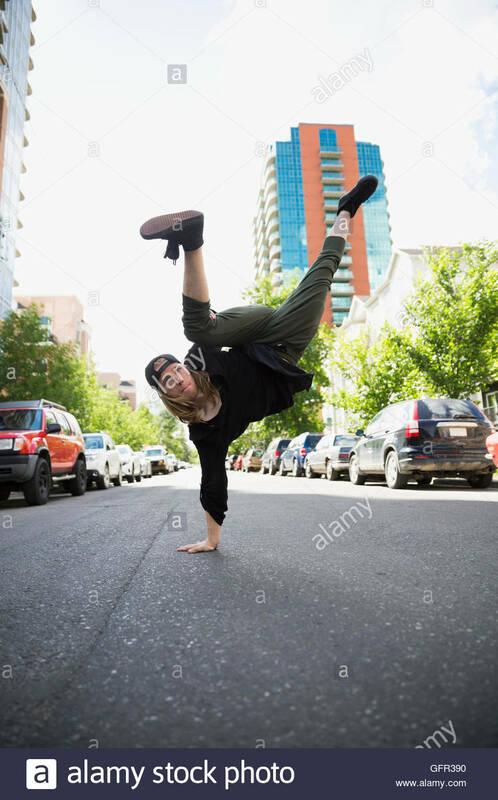 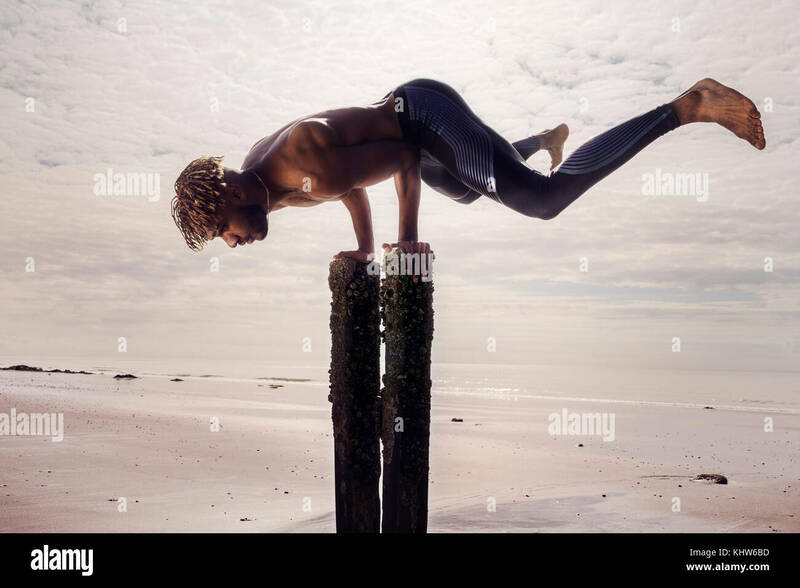 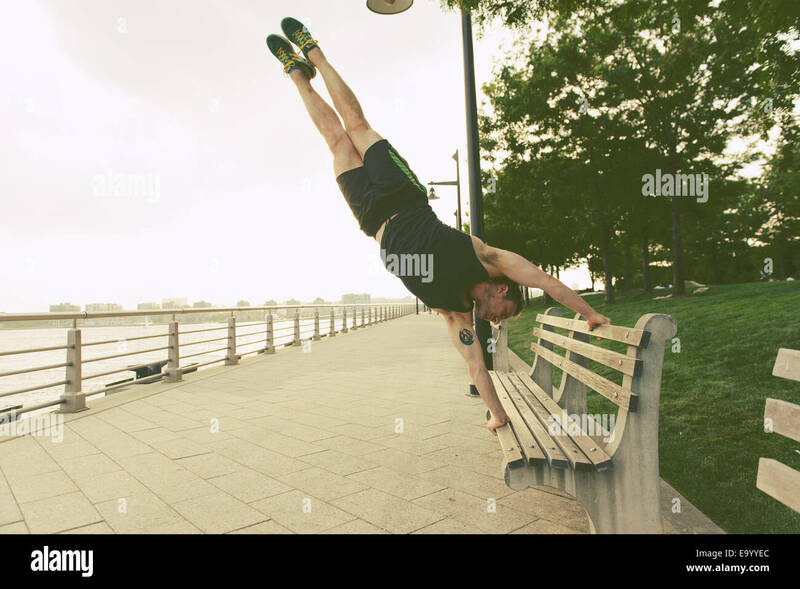 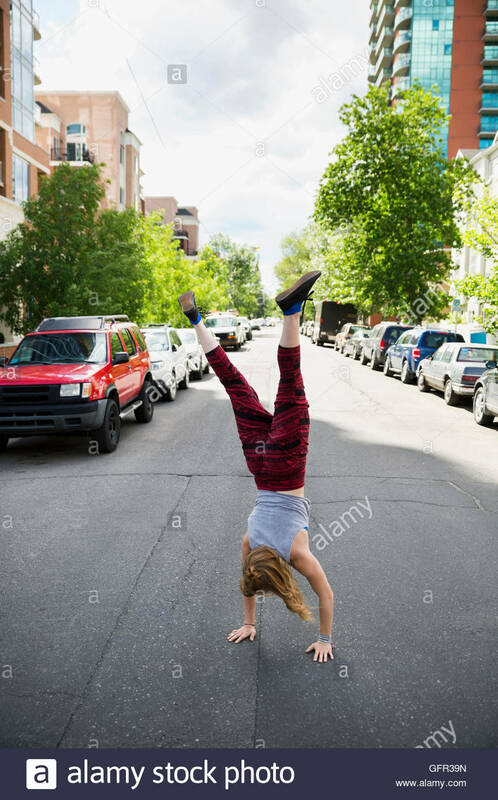 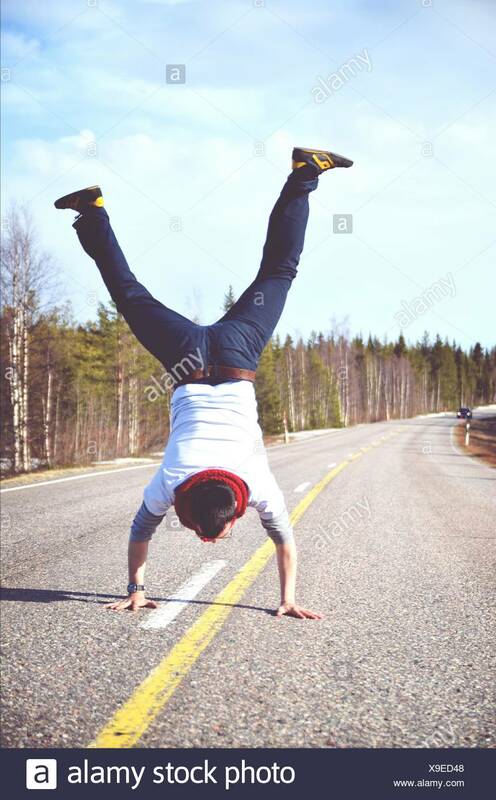 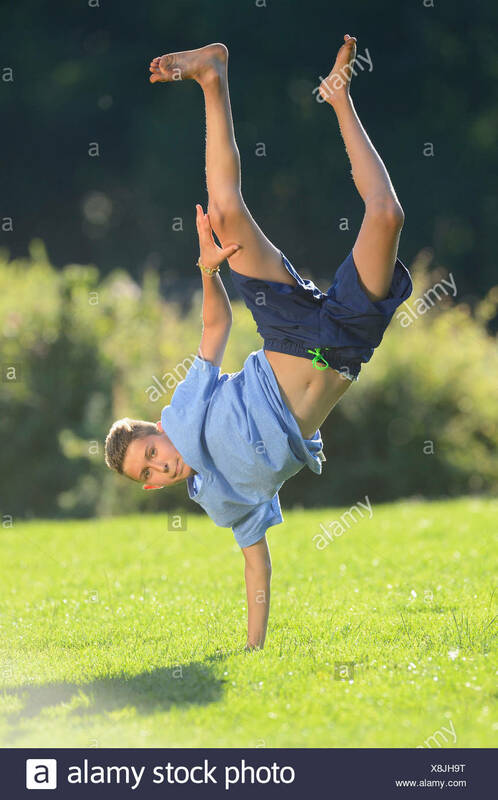 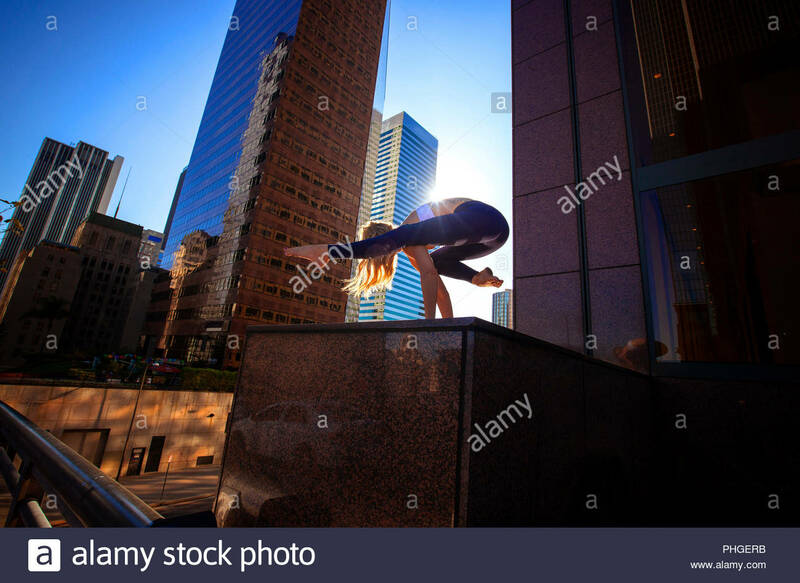 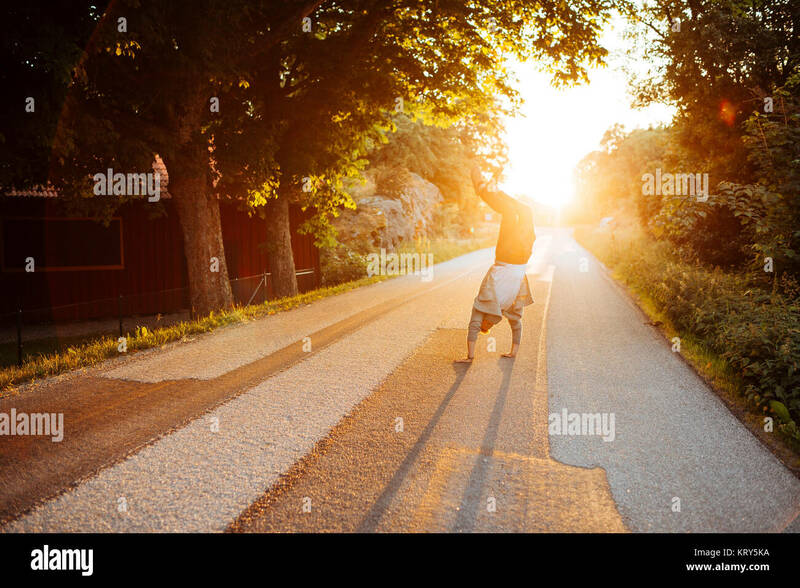 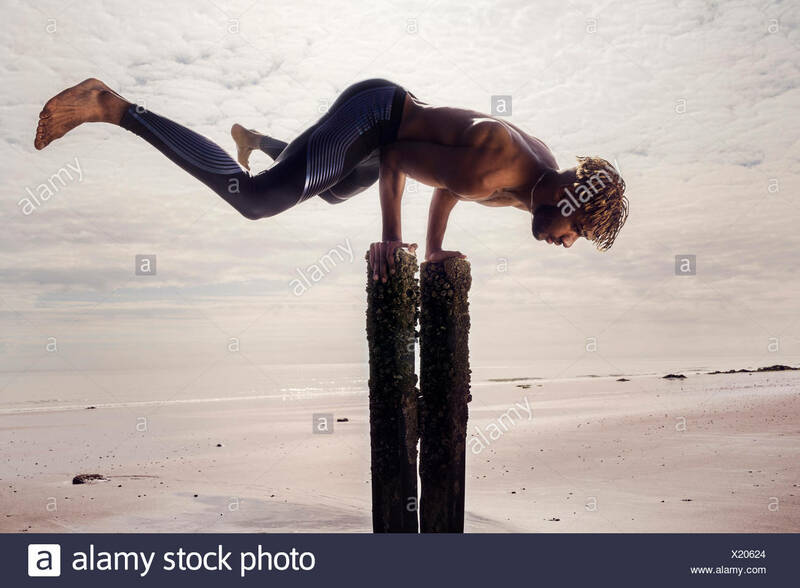 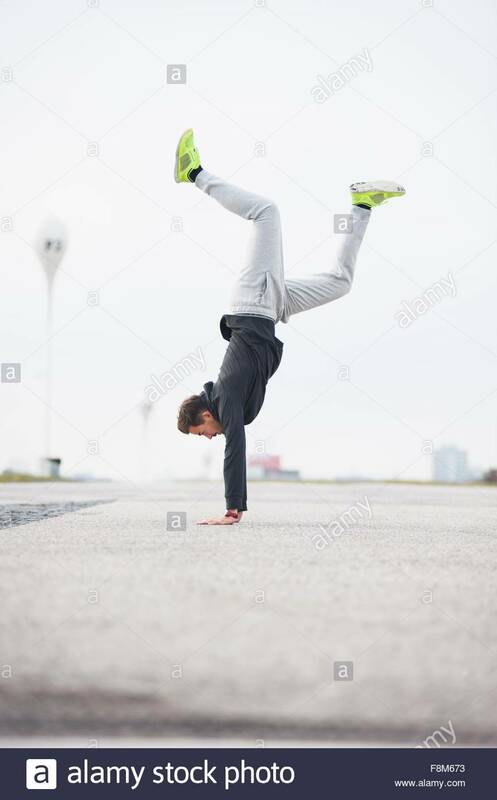 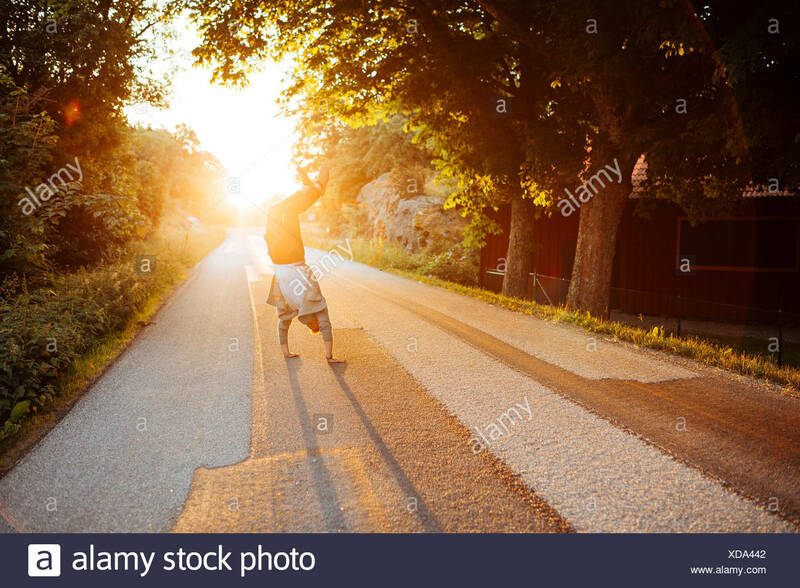 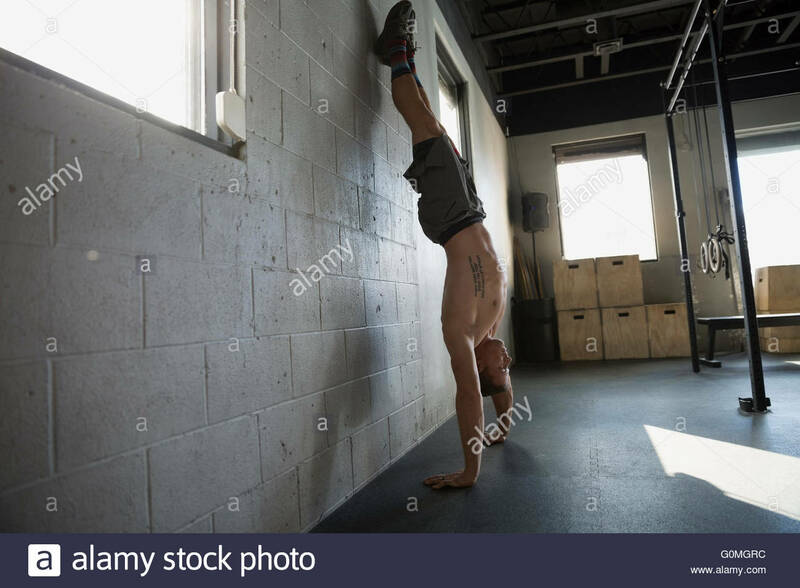 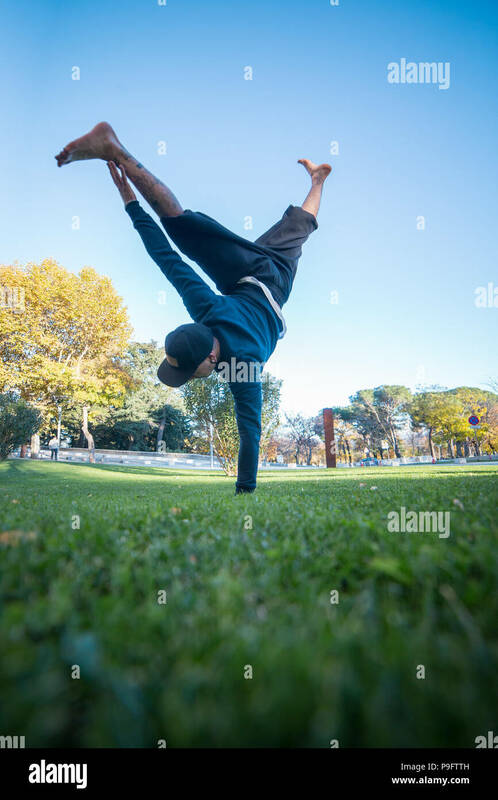 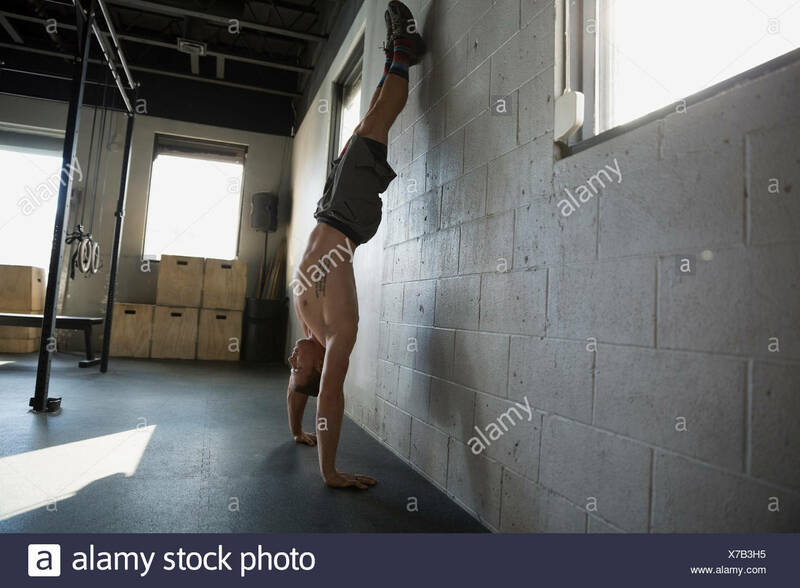 Young man doing handstand on grass in the street while doing parkour. 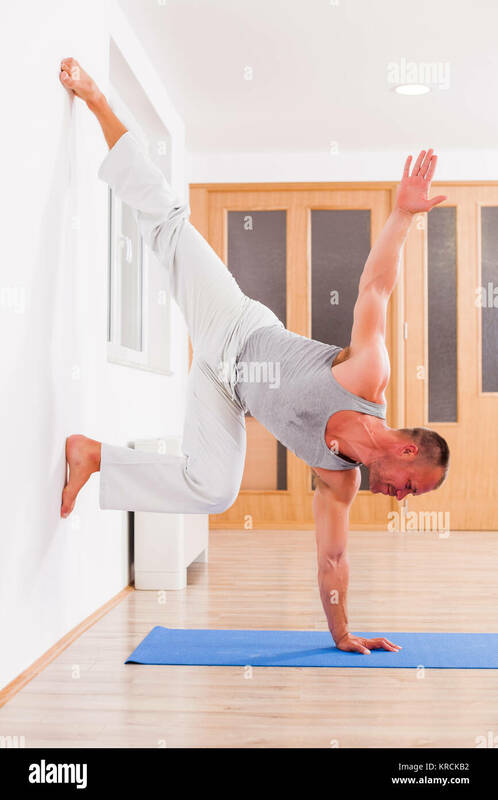 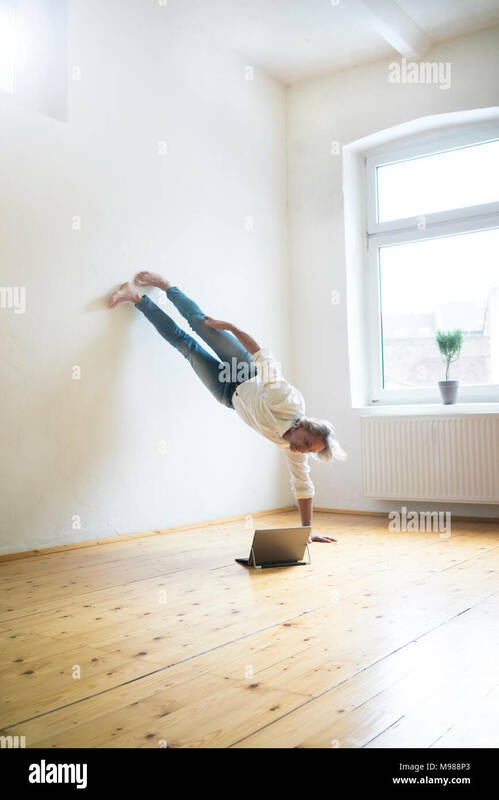 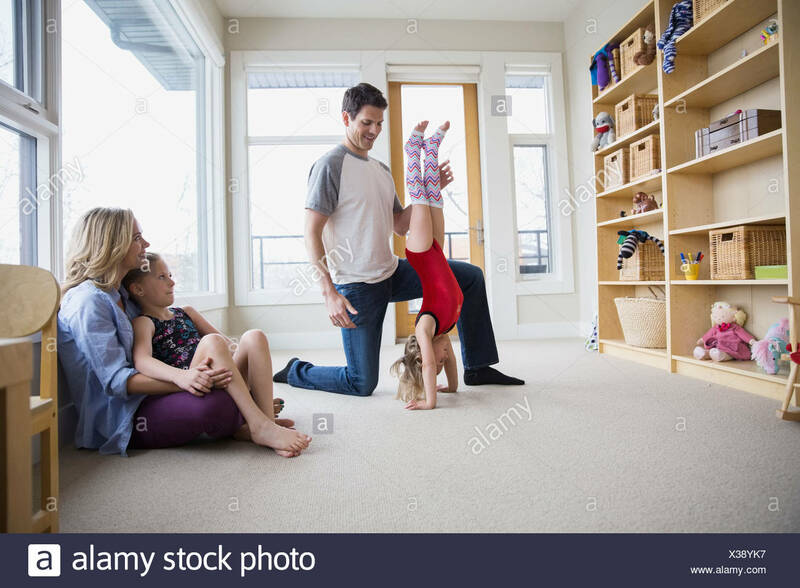 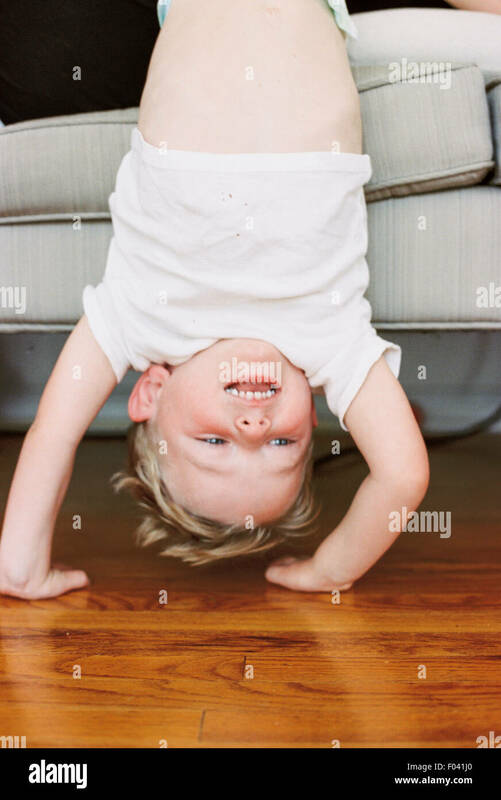 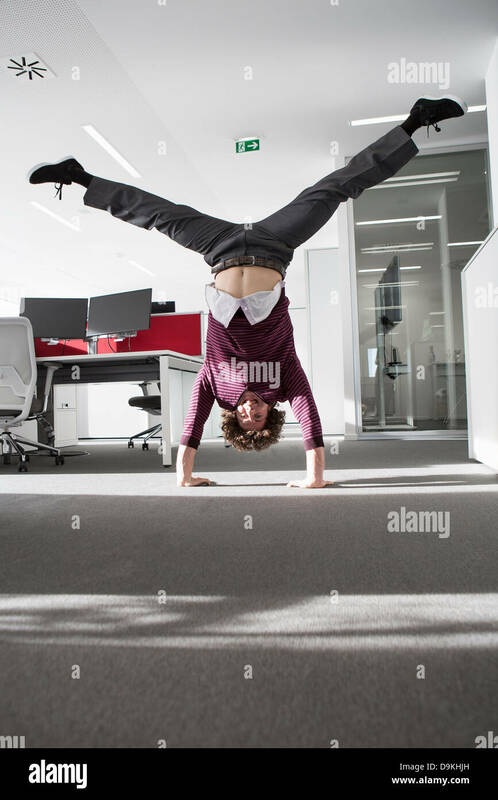 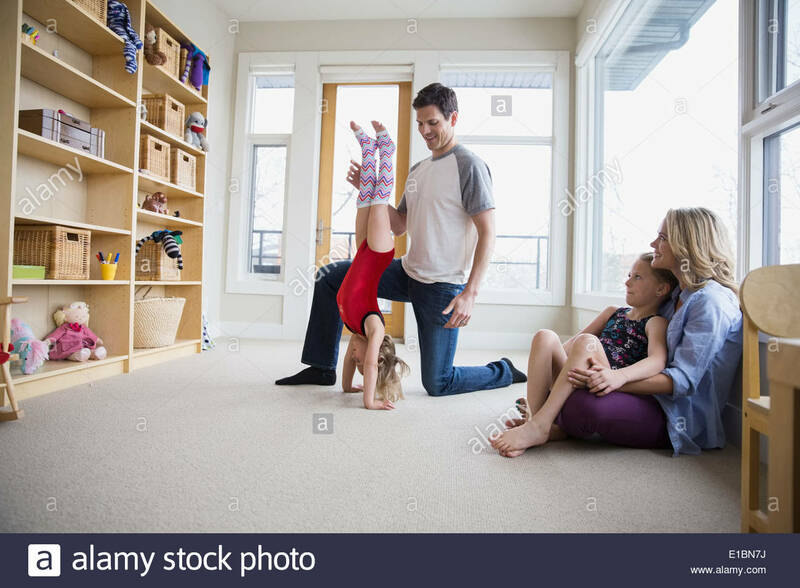 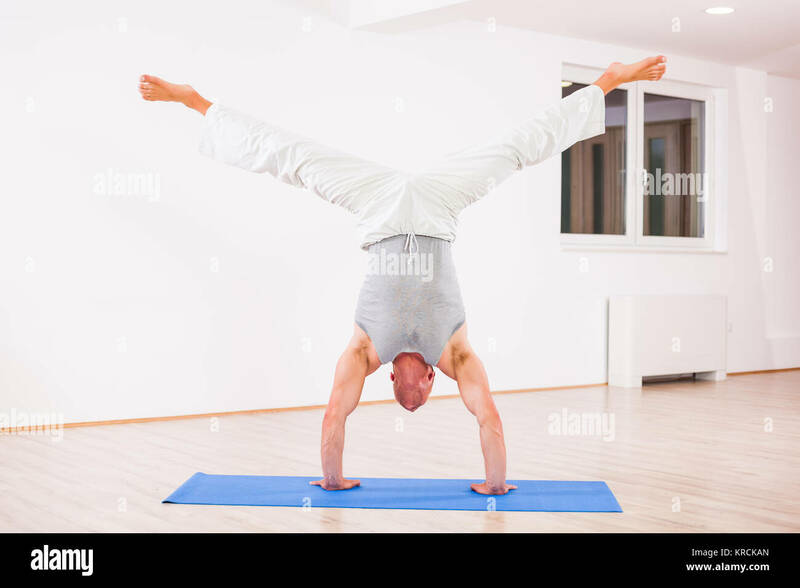 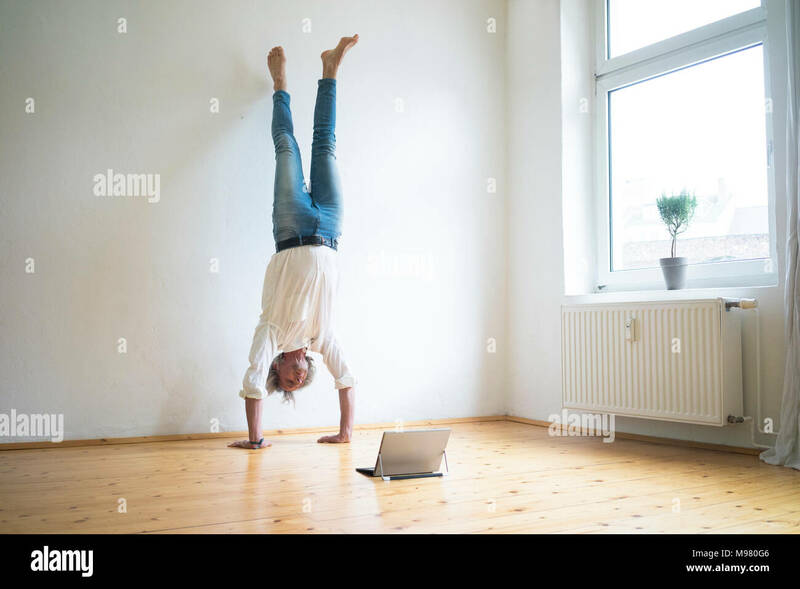 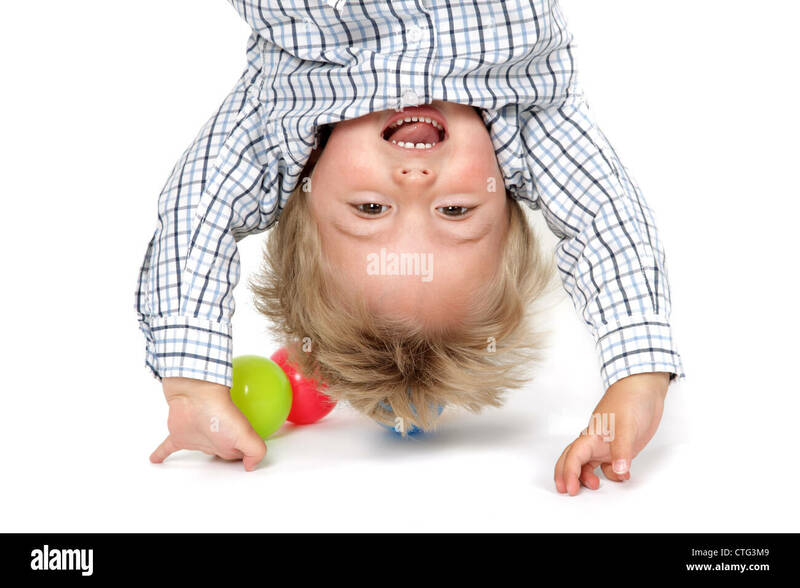 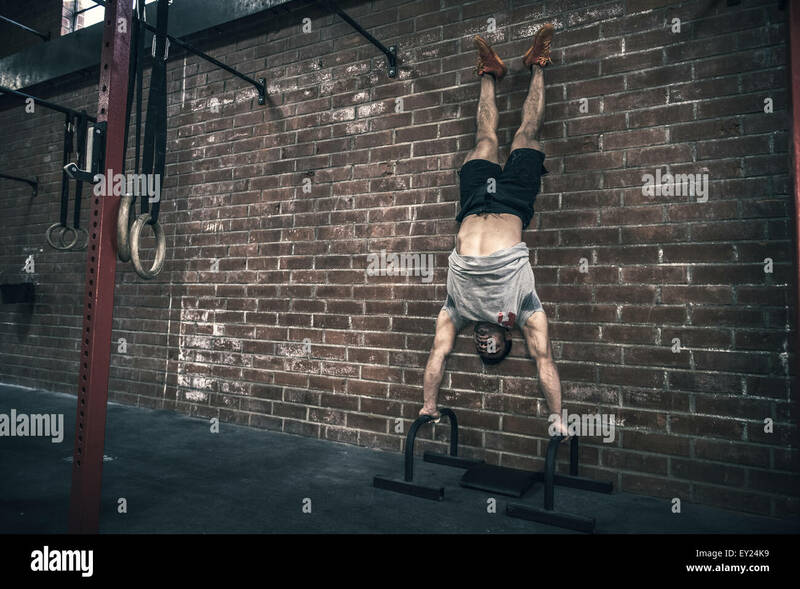 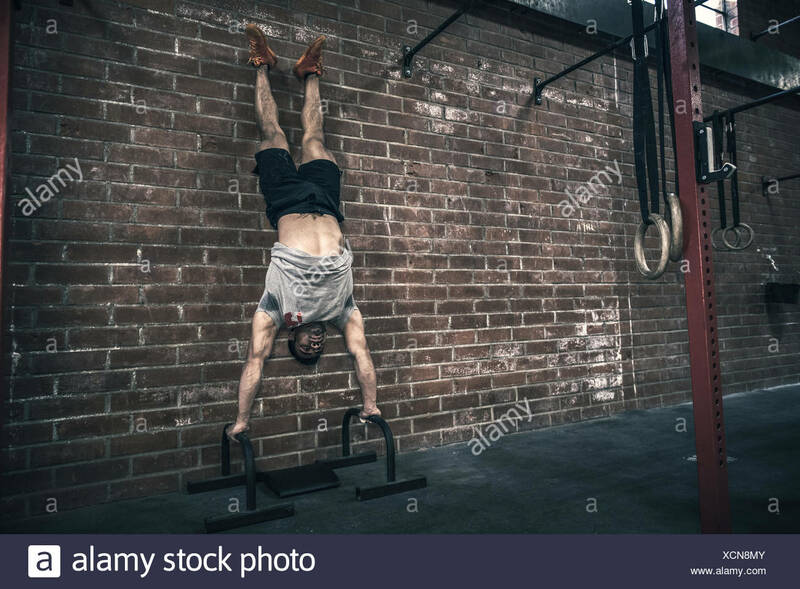 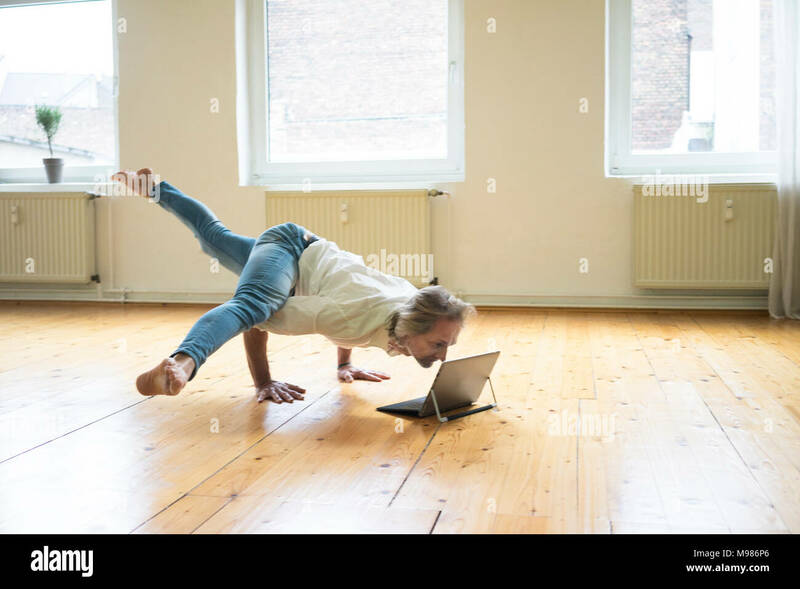 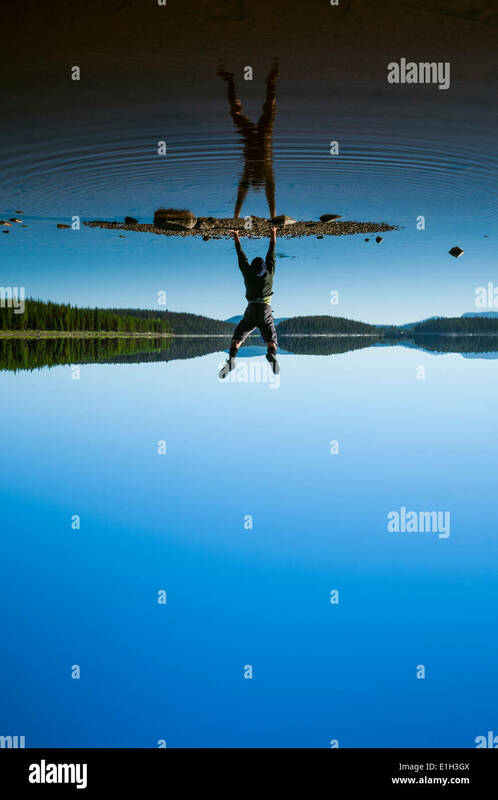 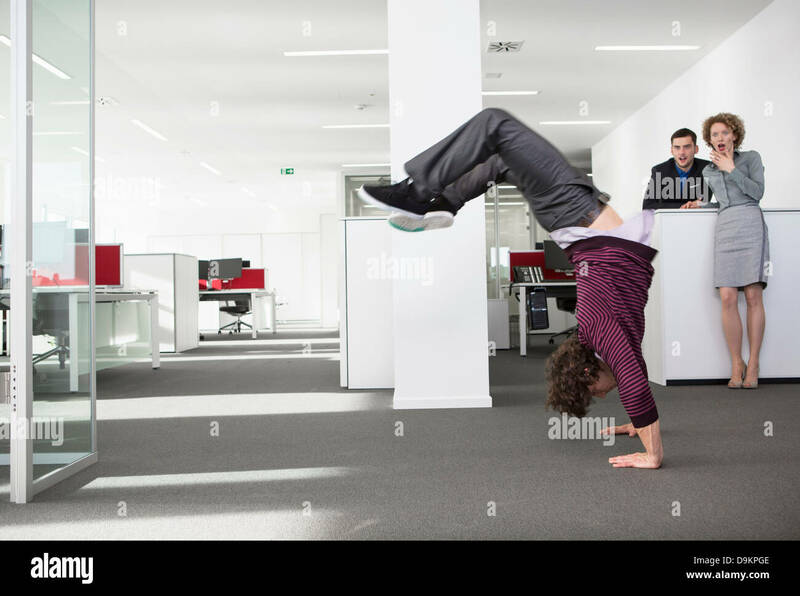 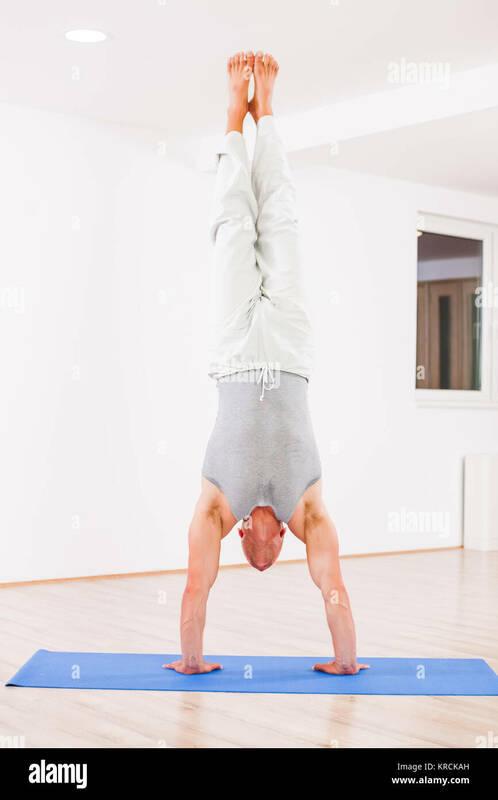 Young boy doing a handstand in front of a sofa. 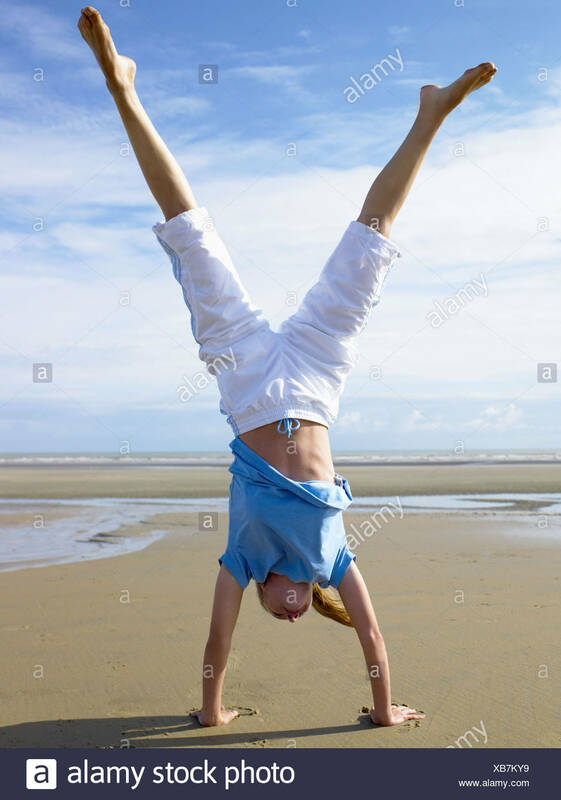 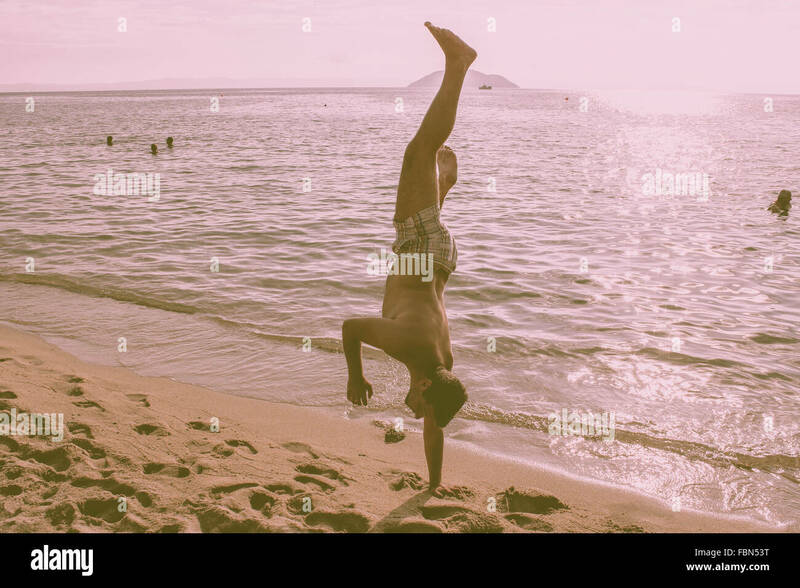 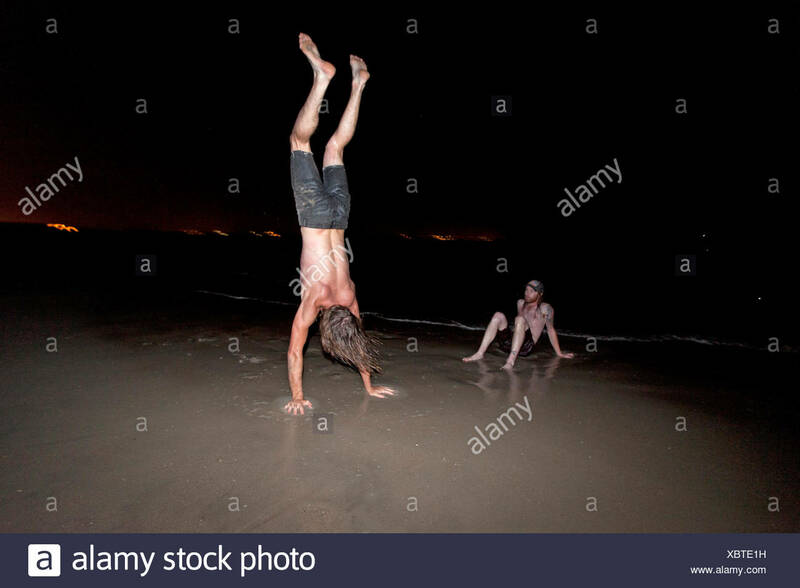 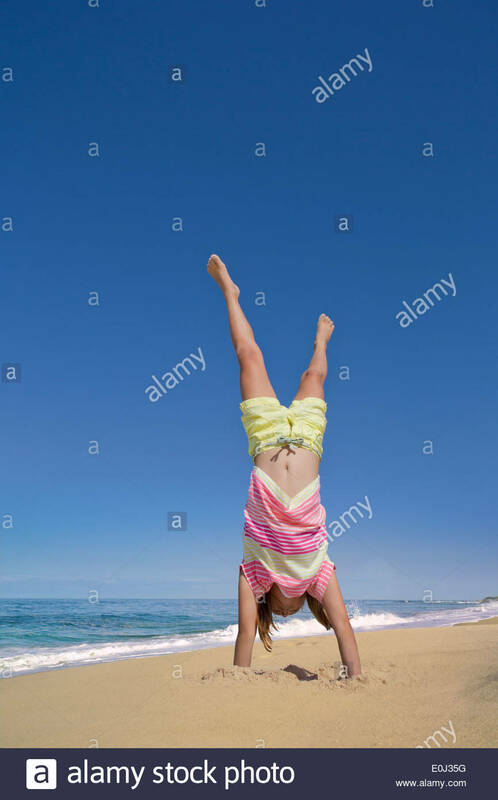 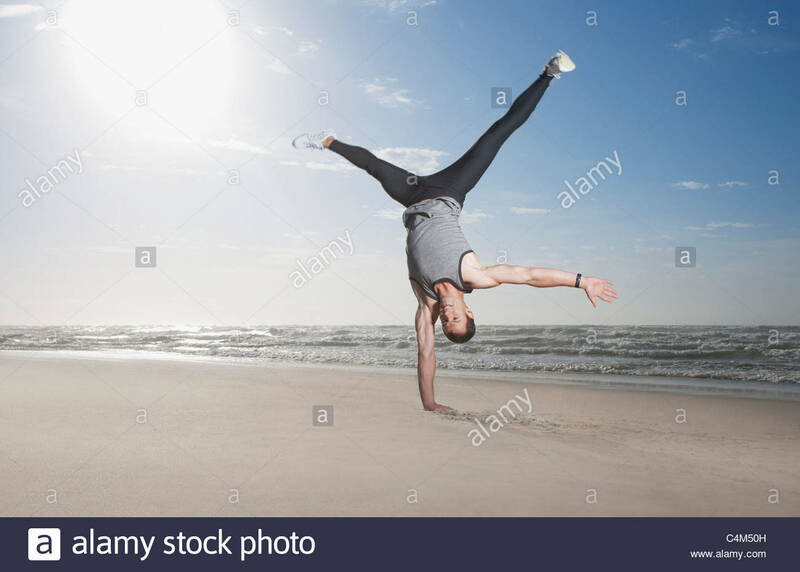 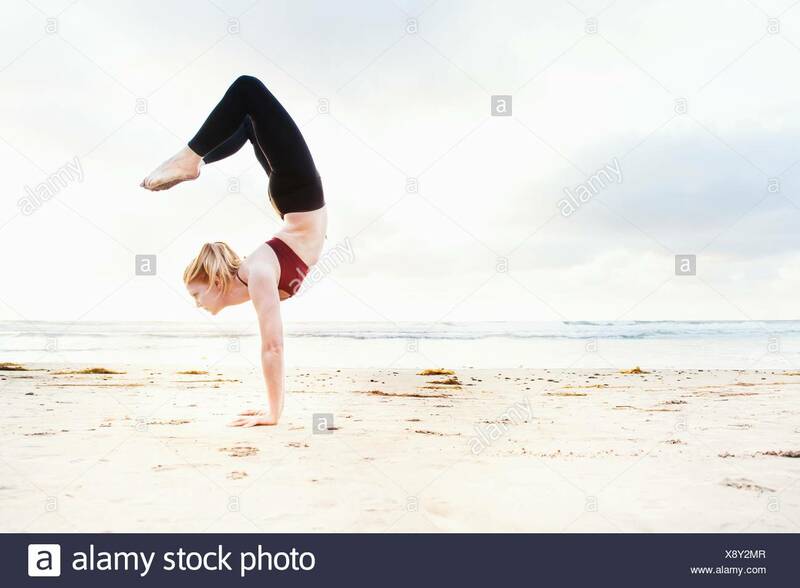 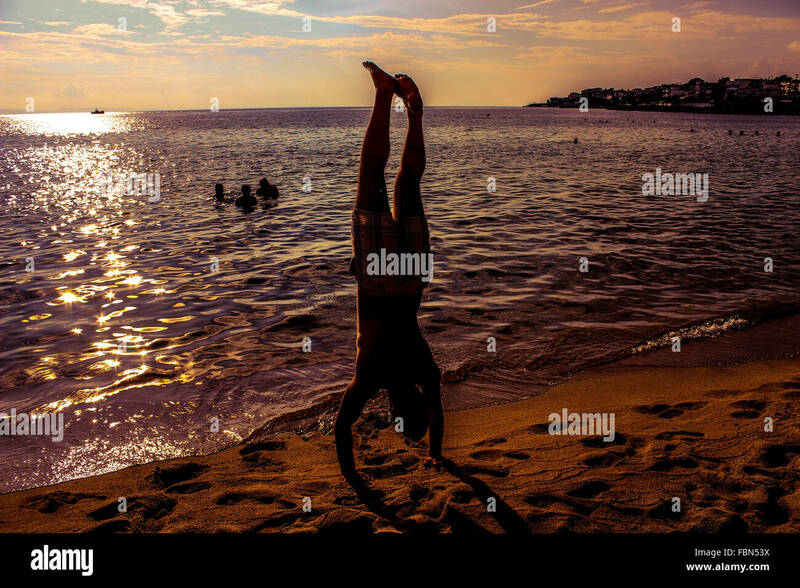 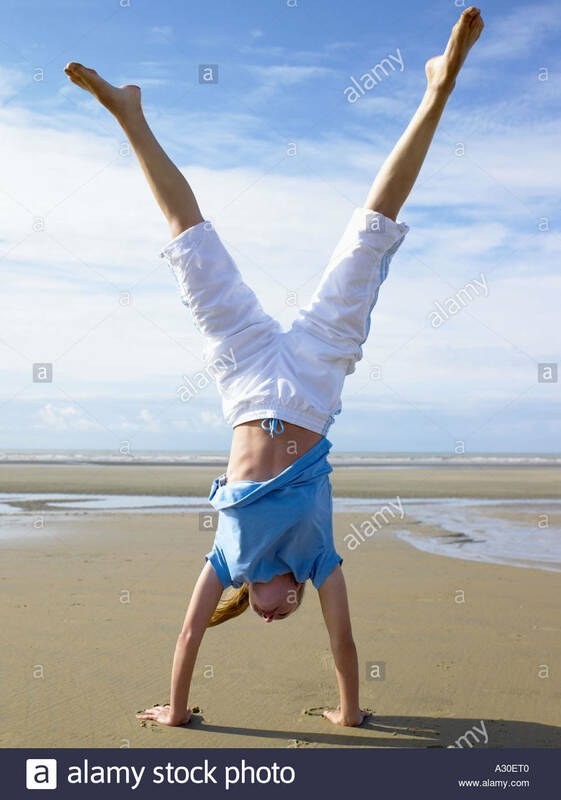 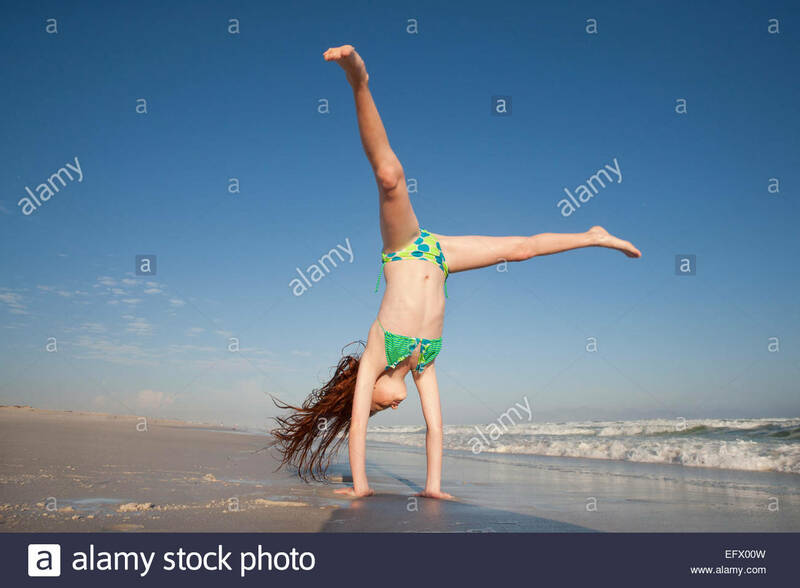 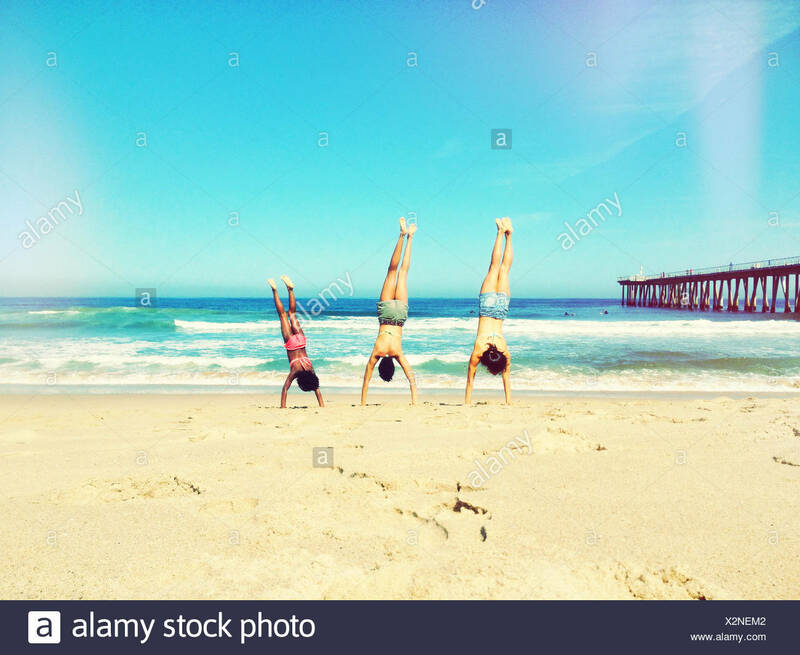 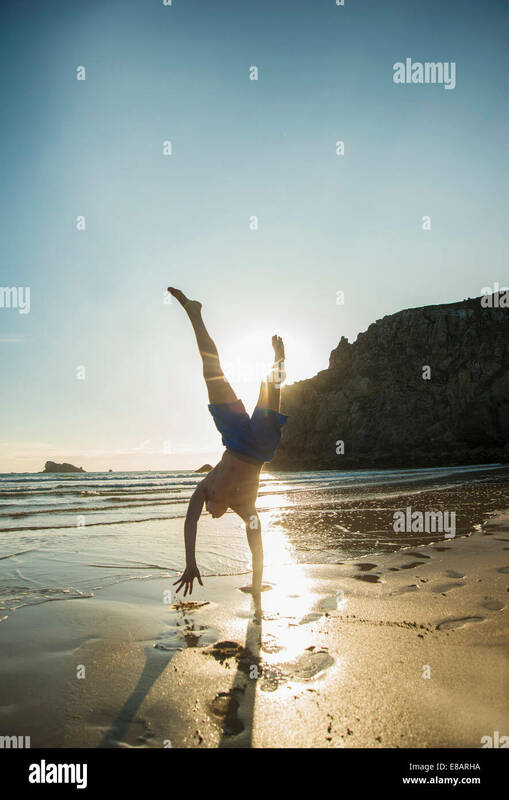 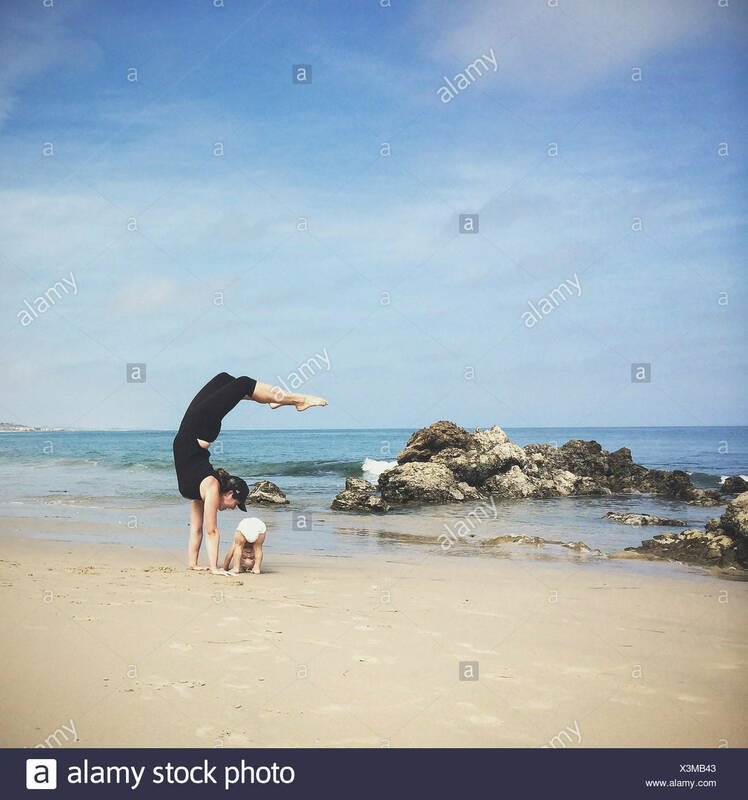 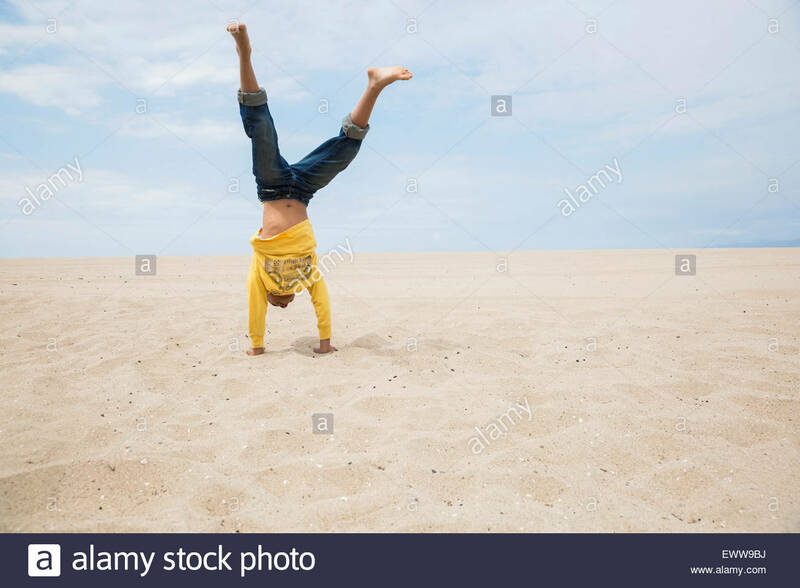 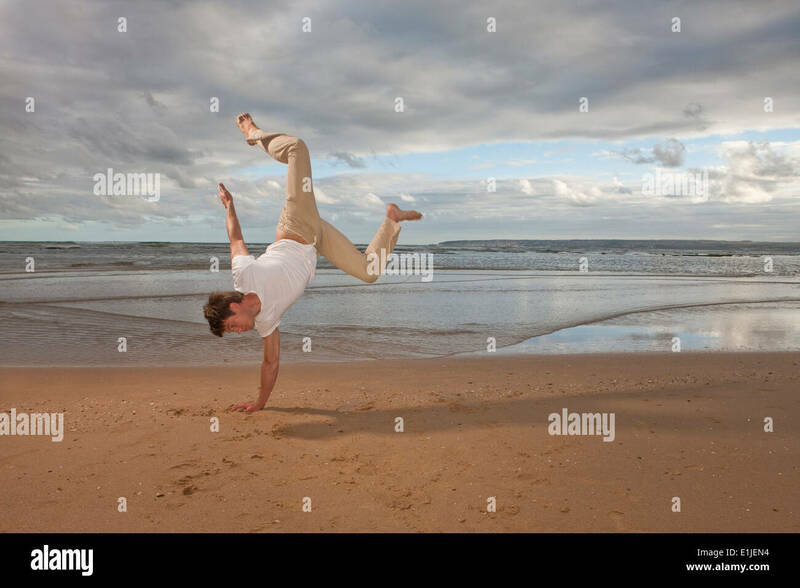 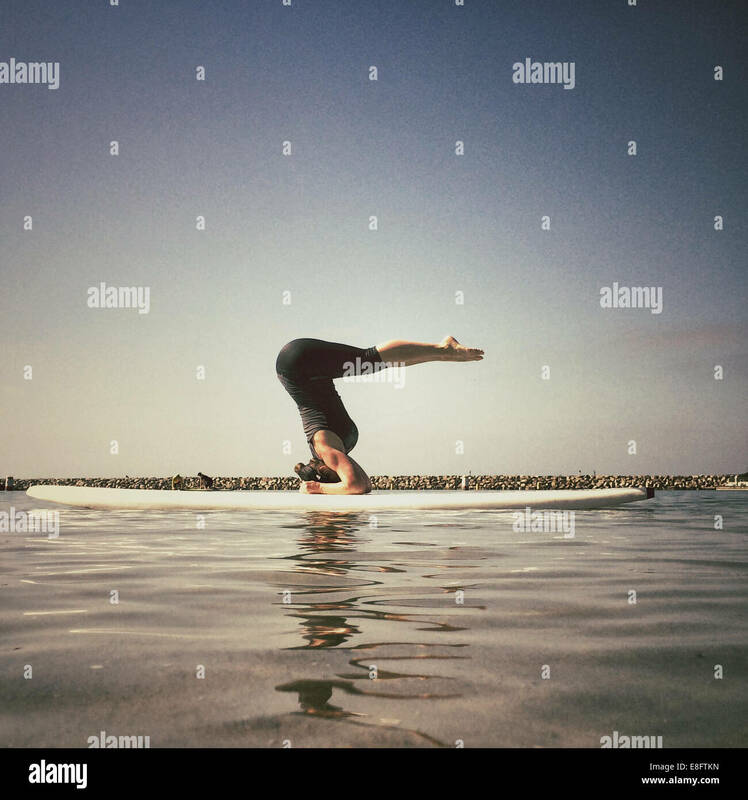 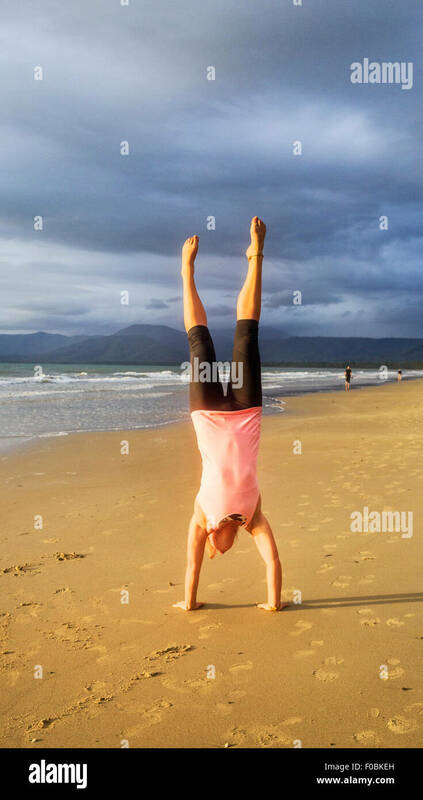 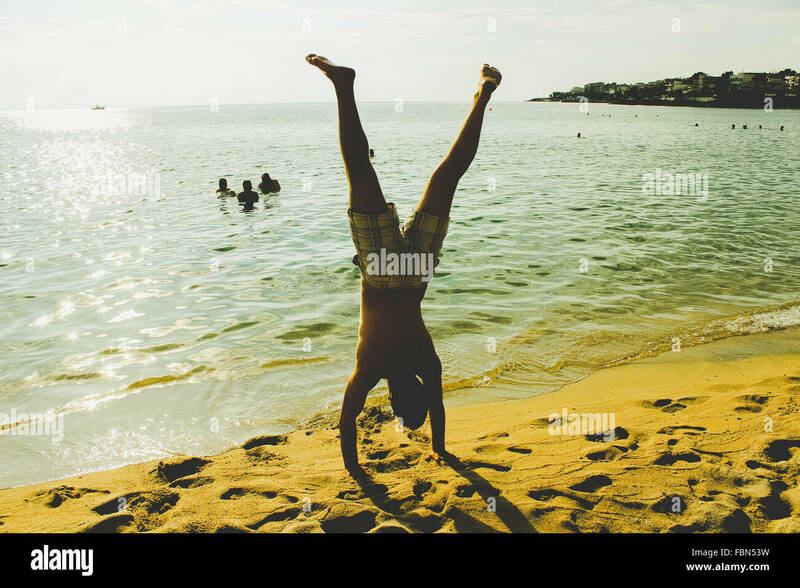 A young woman doing a handstand on beautiful tropical beach. 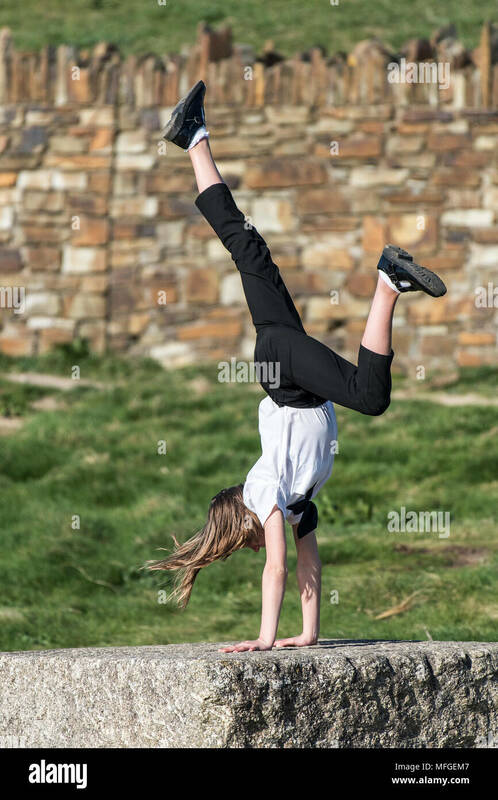 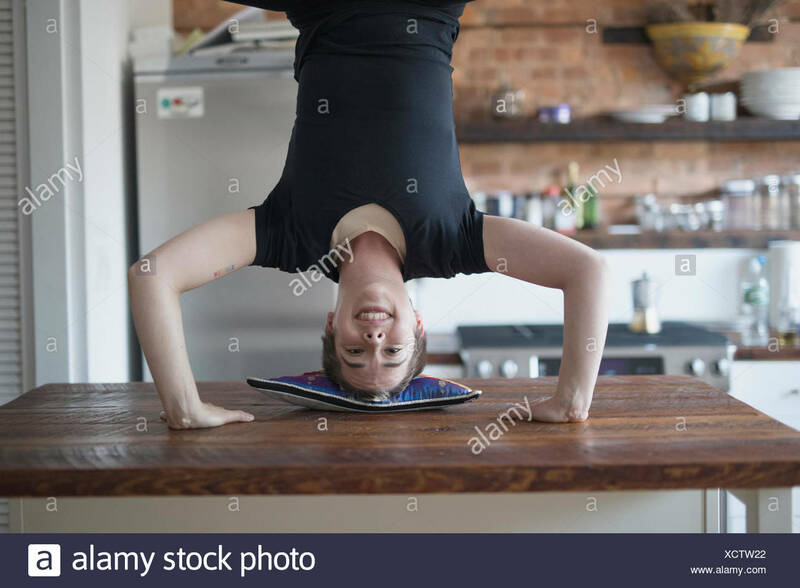 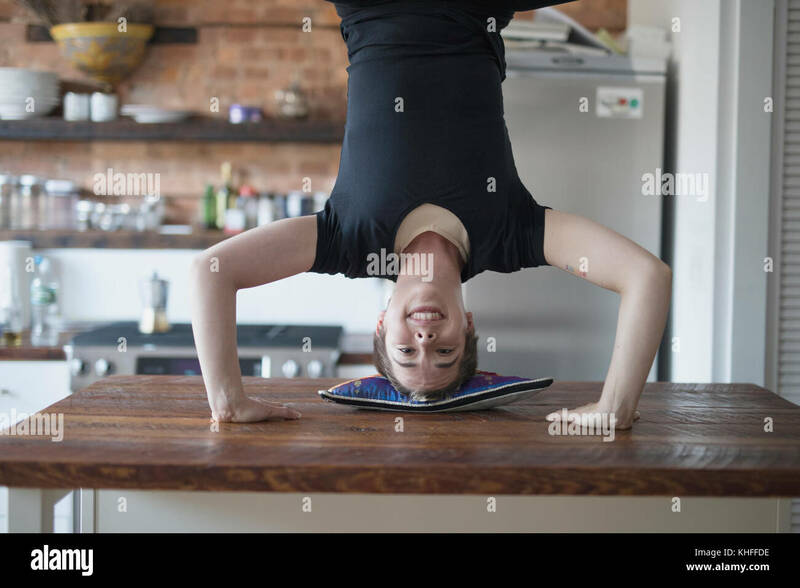 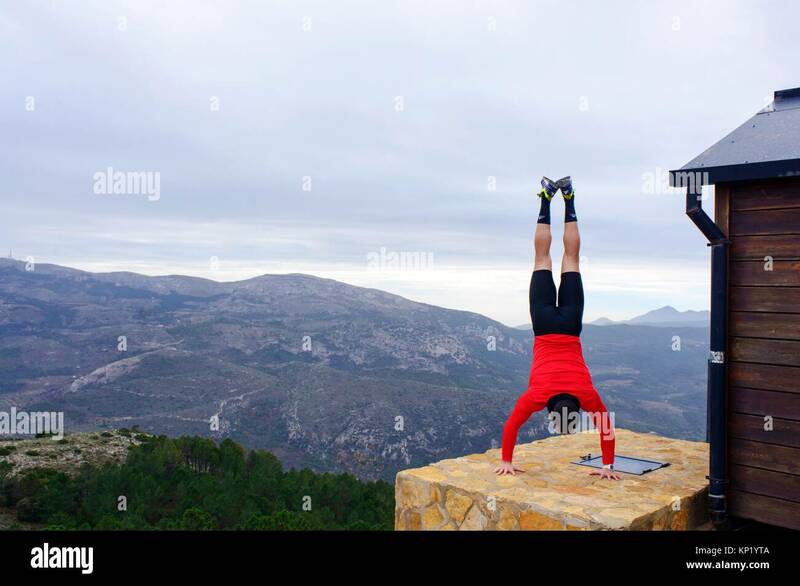 A young teenager performing a handstand on a block of granite.